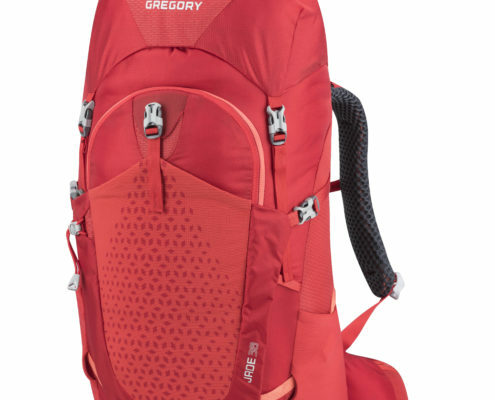 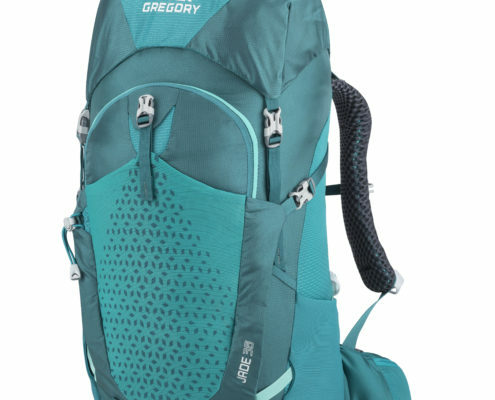 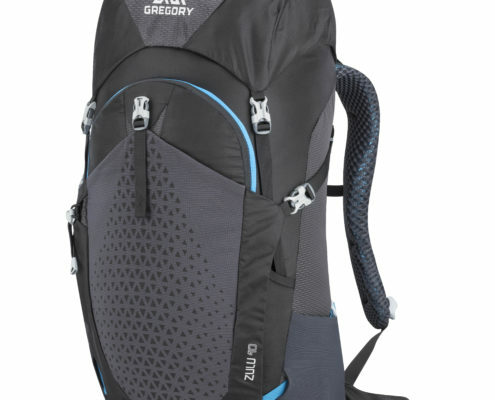 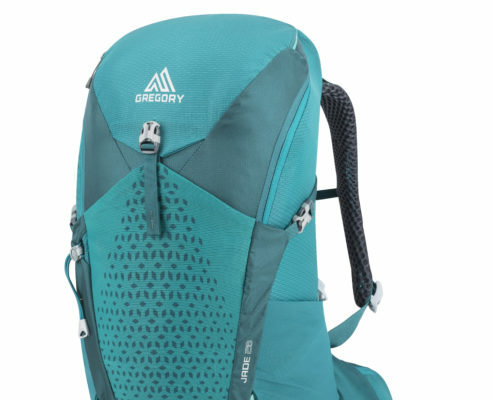 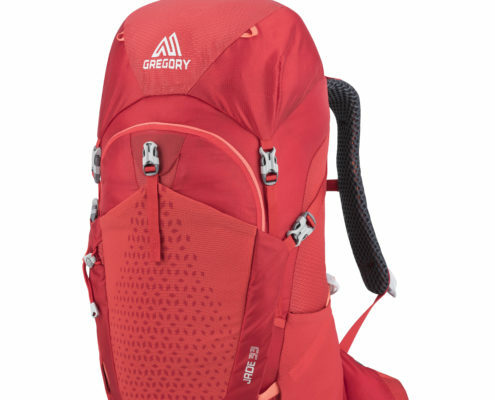 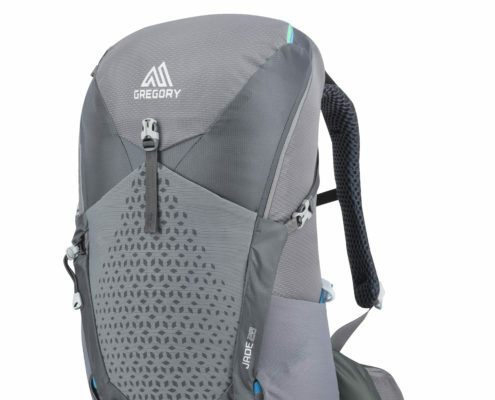 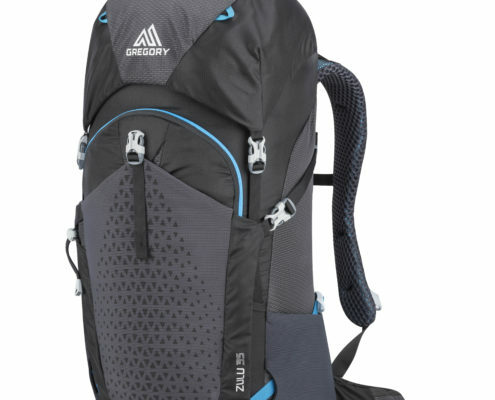 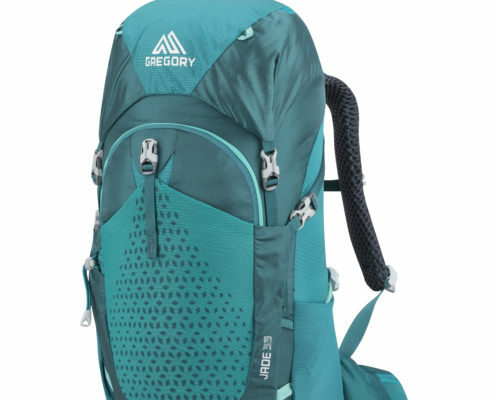 For spring 2019, Gregory is reintroducing its popular Zulu (for men) and Jade (for women) backpacks with a whole new suspension system. 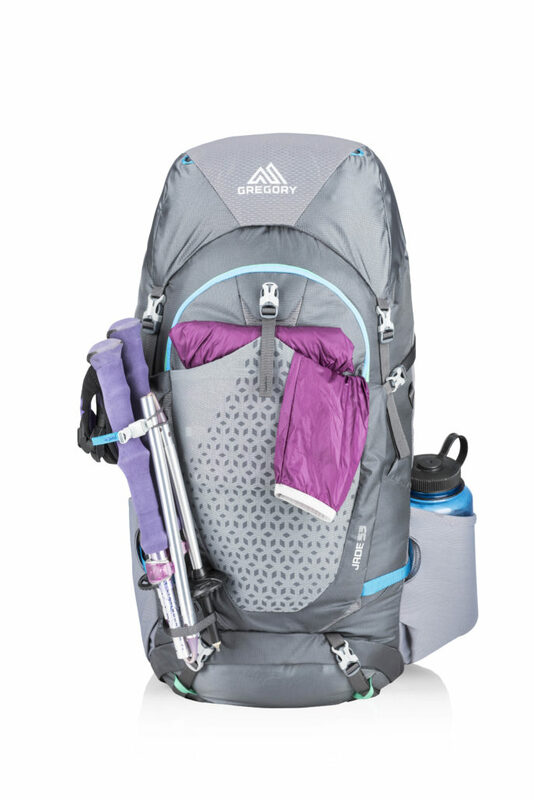 The FreeFloat system combines a tensioned, open-air back panel with mobile hip fins to create an elegant, yet simplified load-handling solution that’s flexible, customizable, and fully ventilated, yet light and low profile. 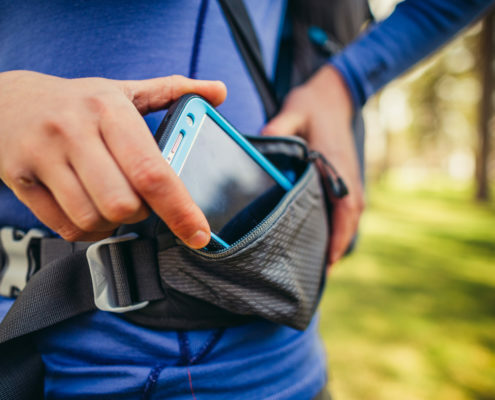 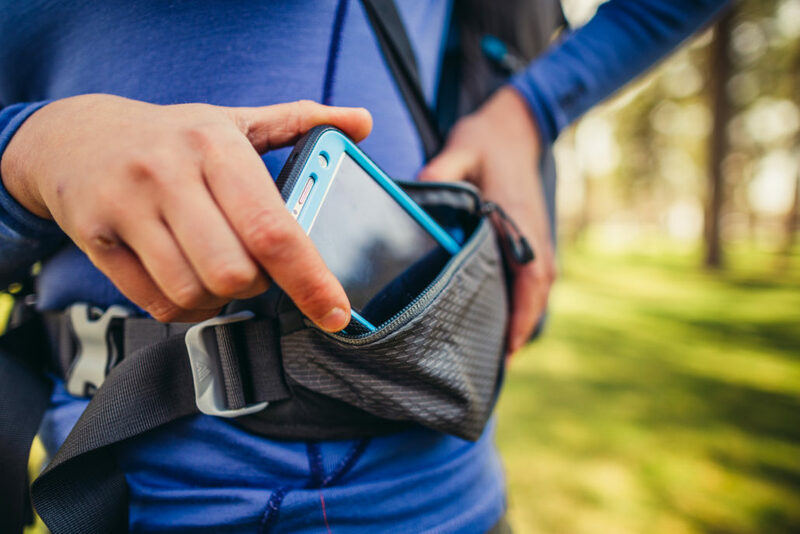 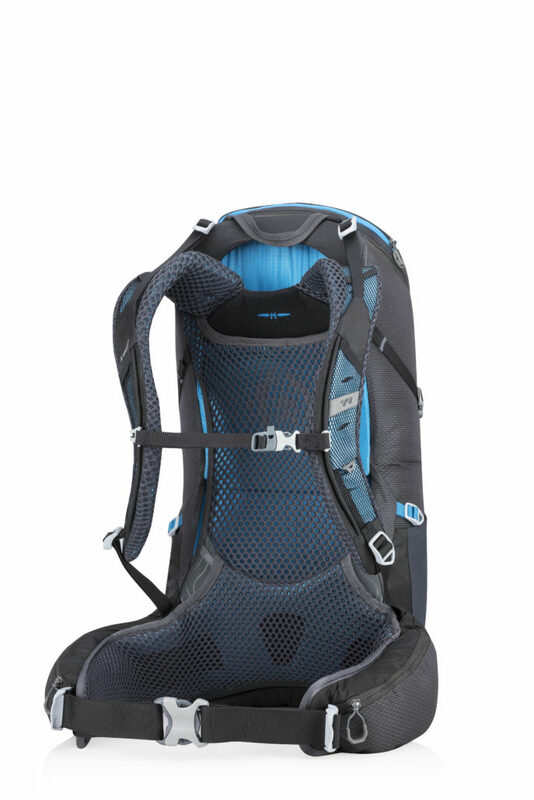 It fits well, feels comfortable, and performs well on the trail. 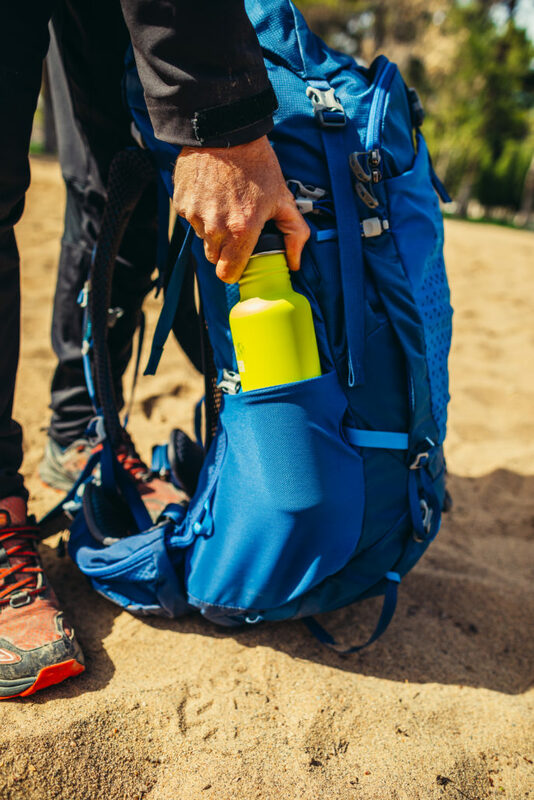 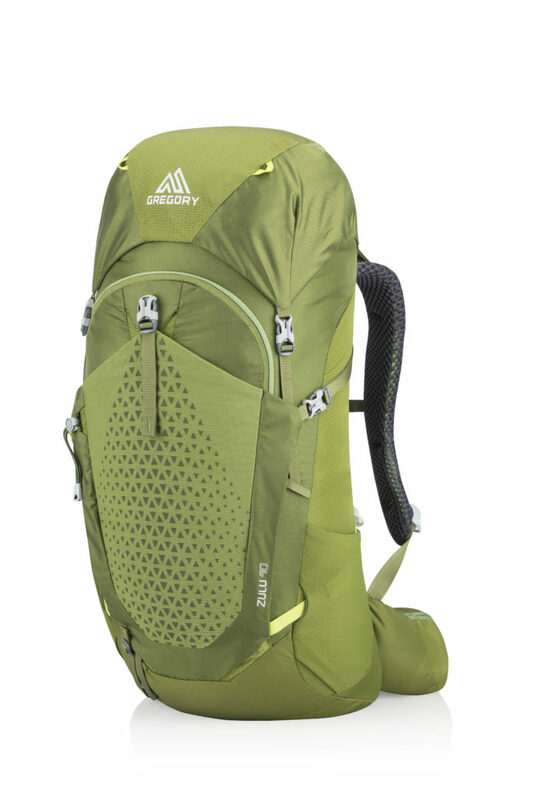 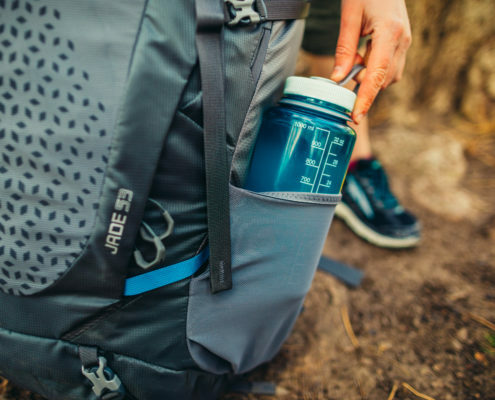 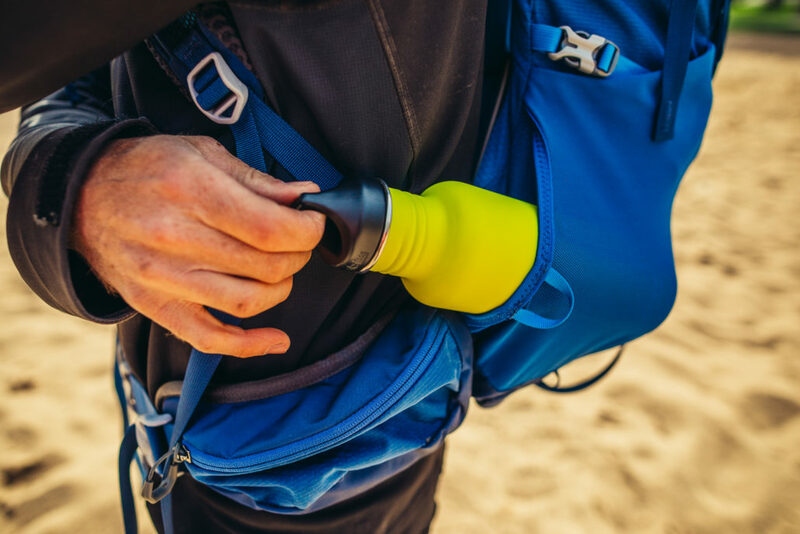 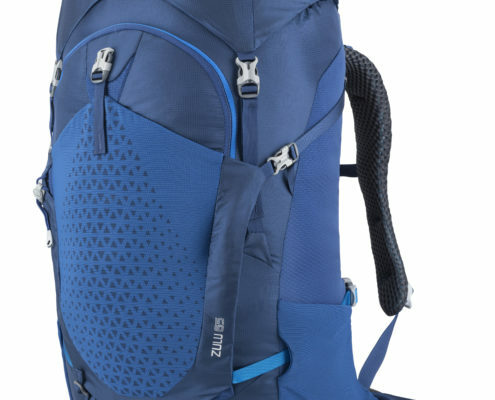 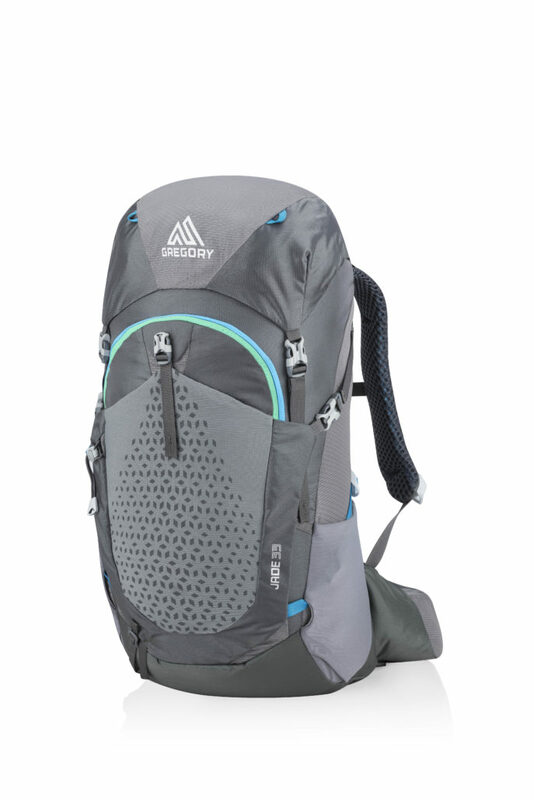 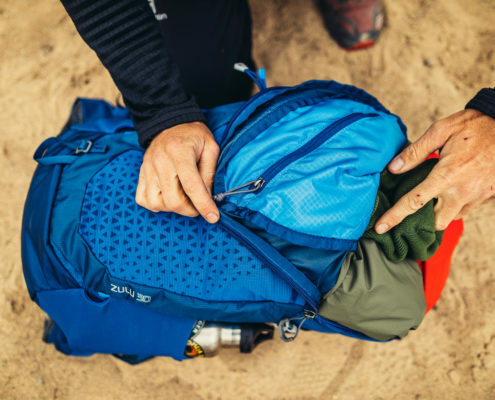 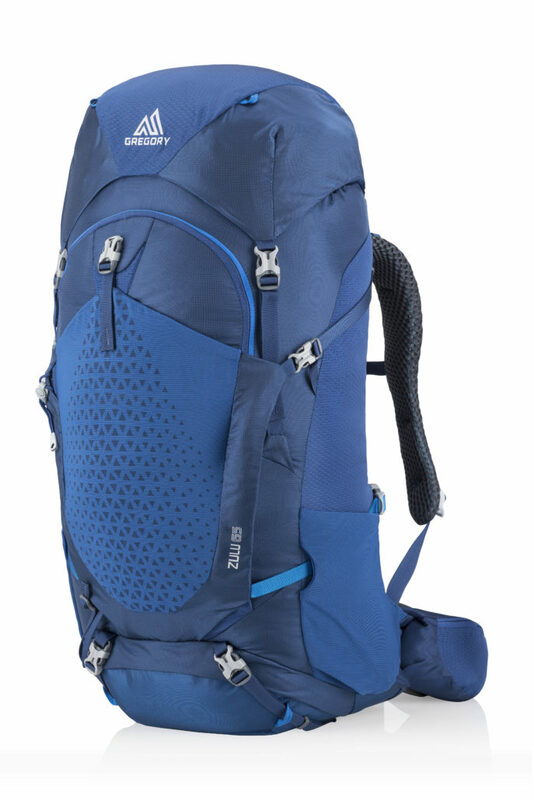 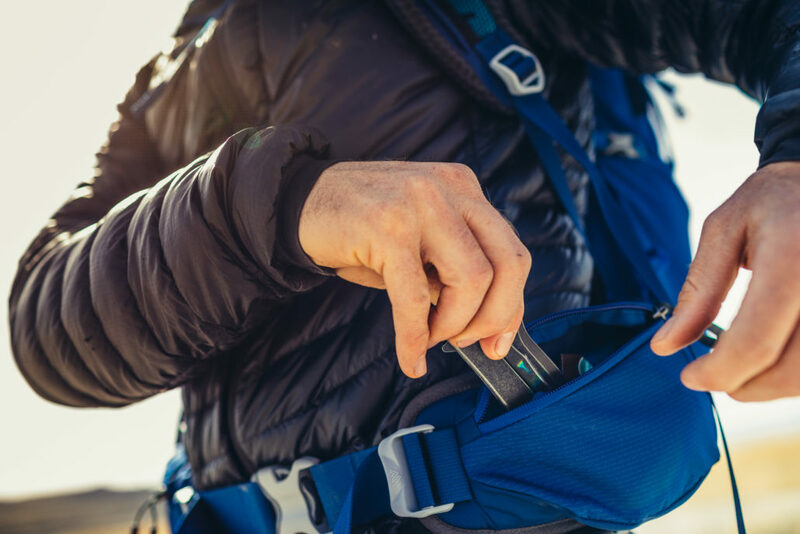 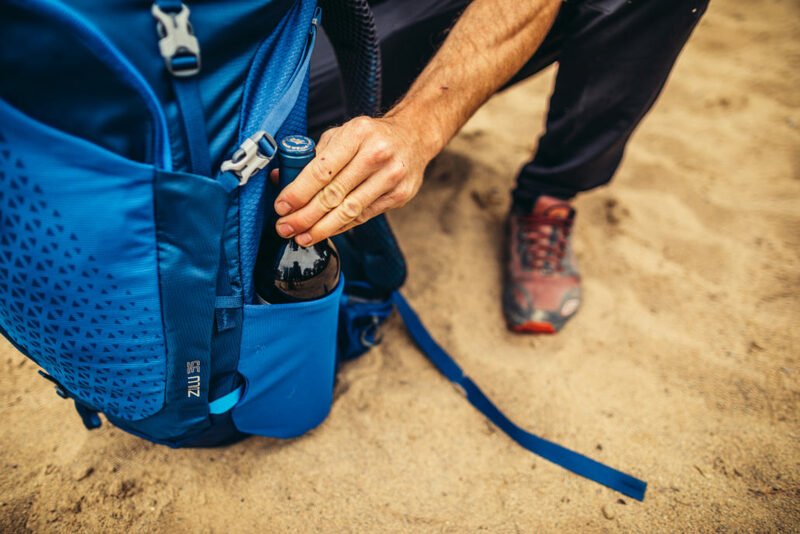 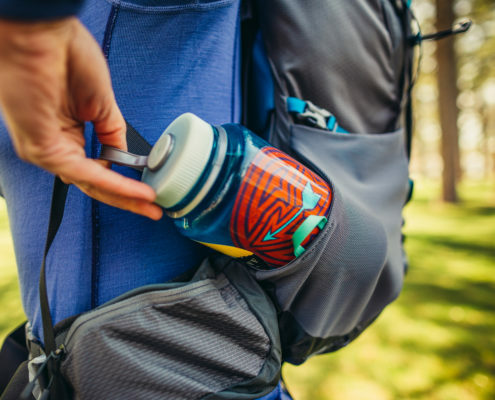 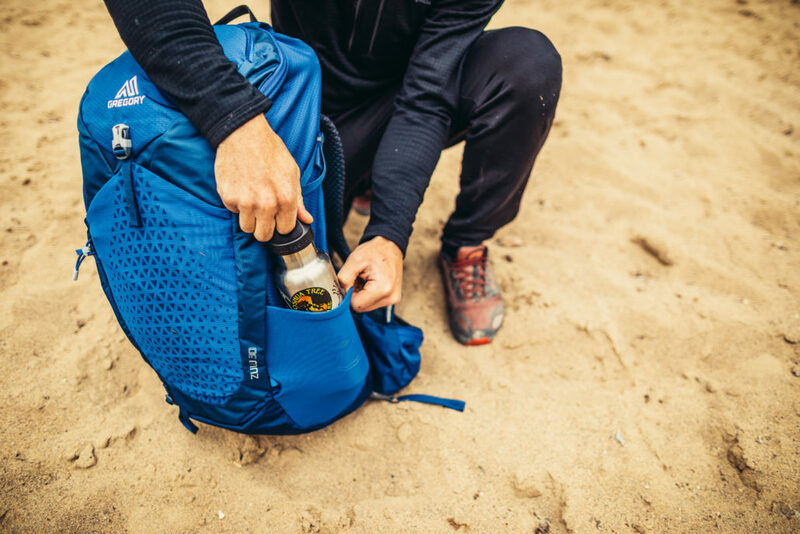 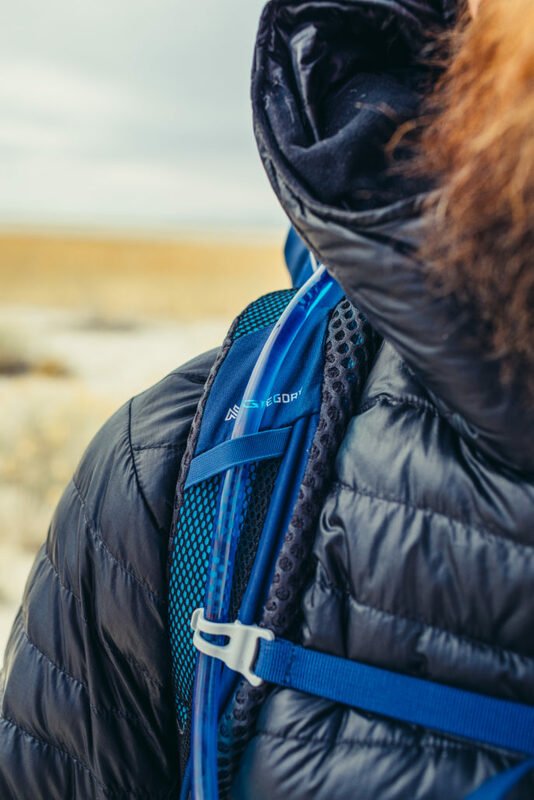 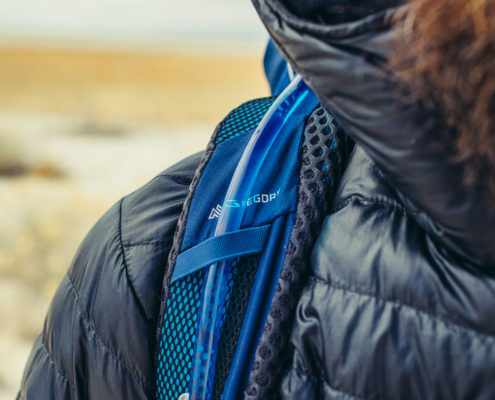 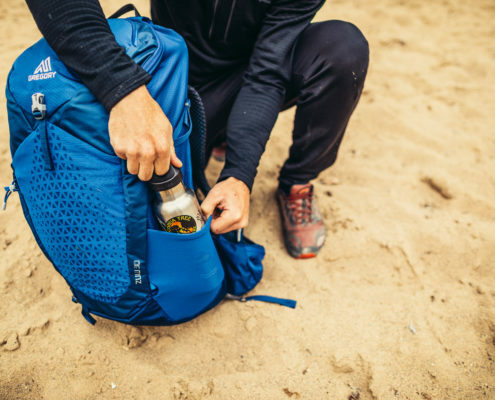 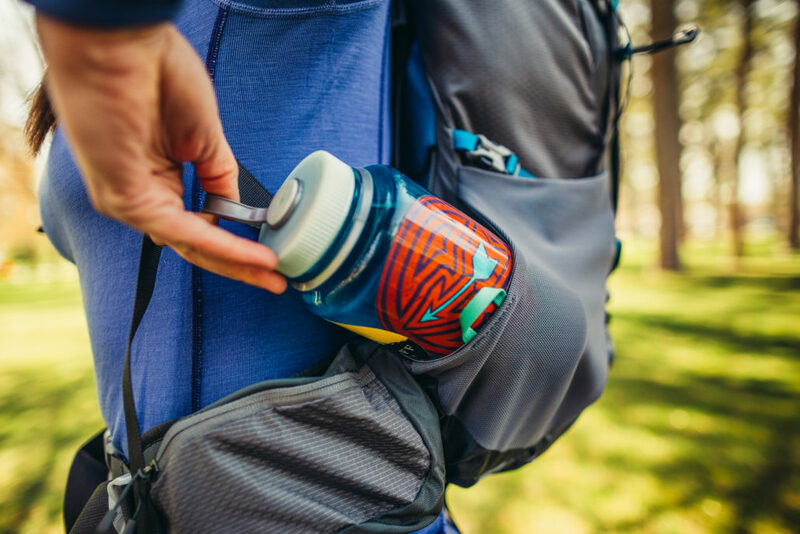 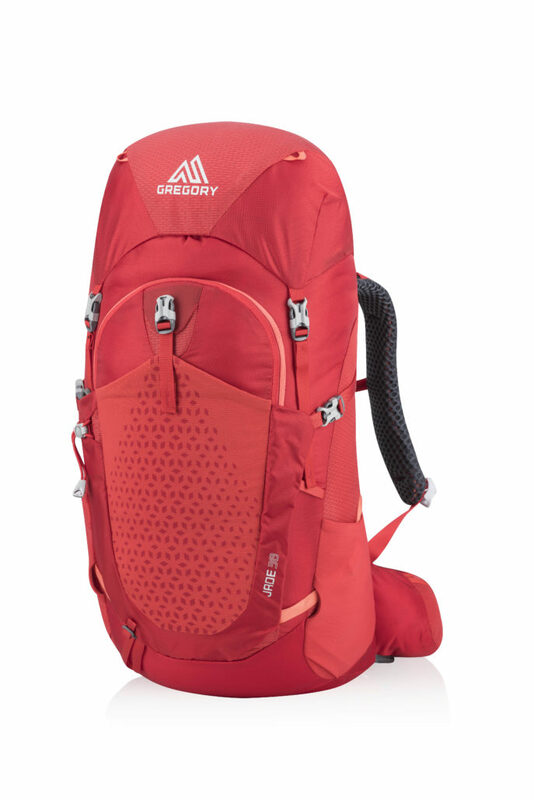 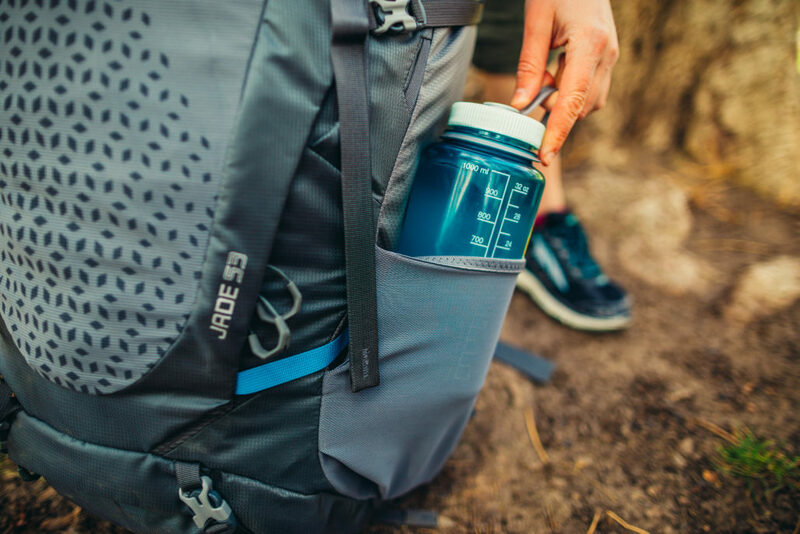 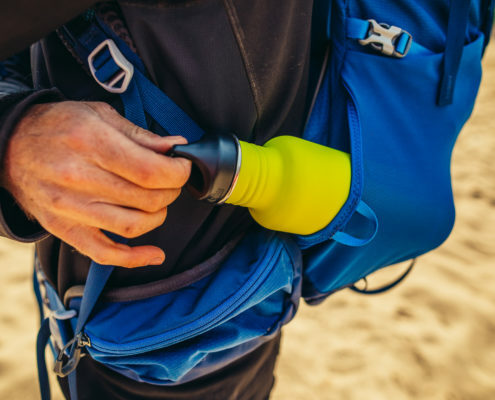 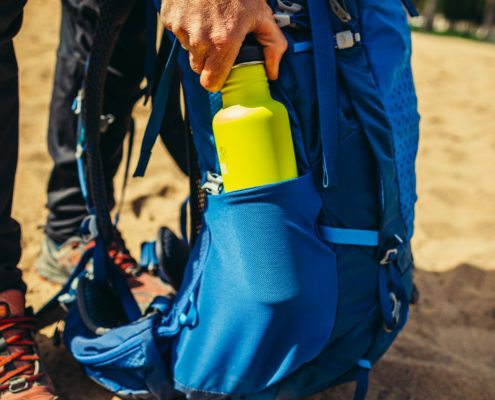 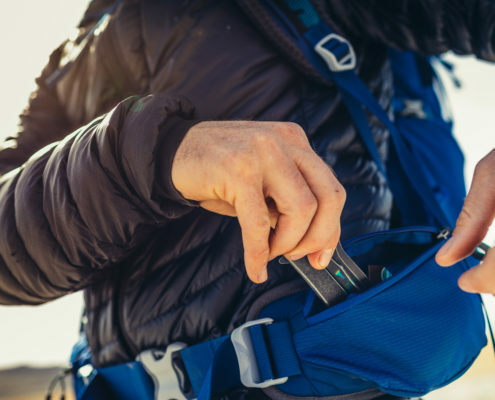 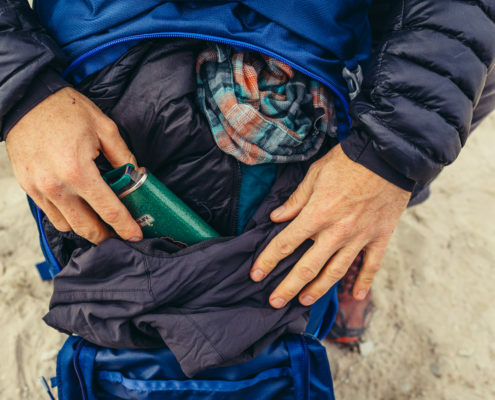 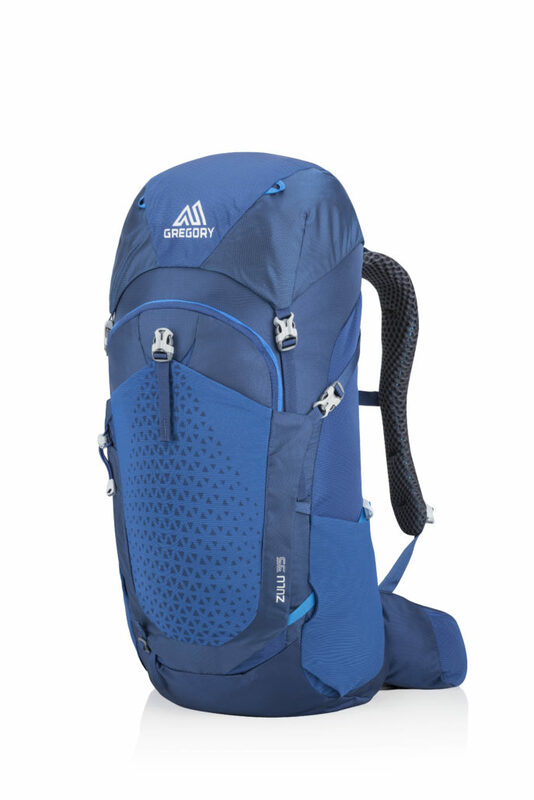 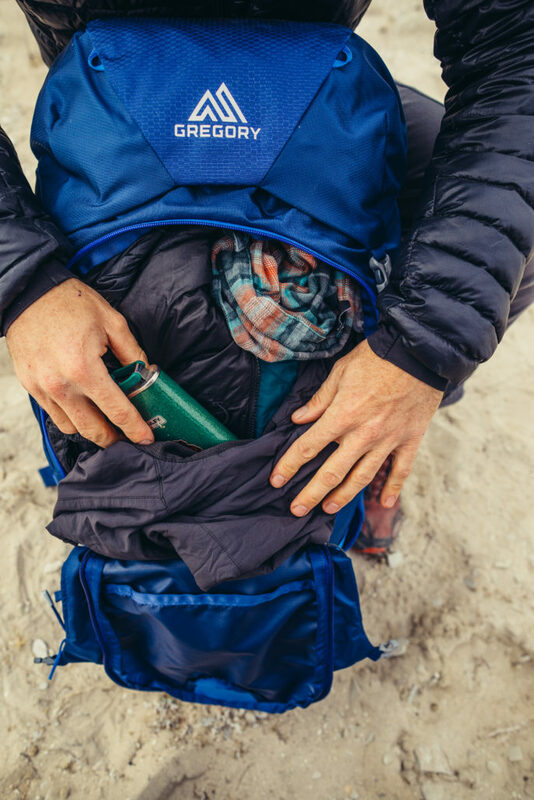 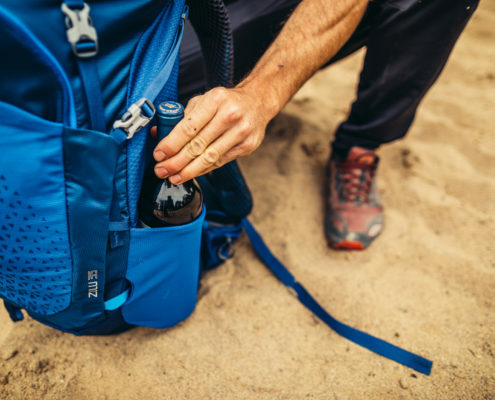 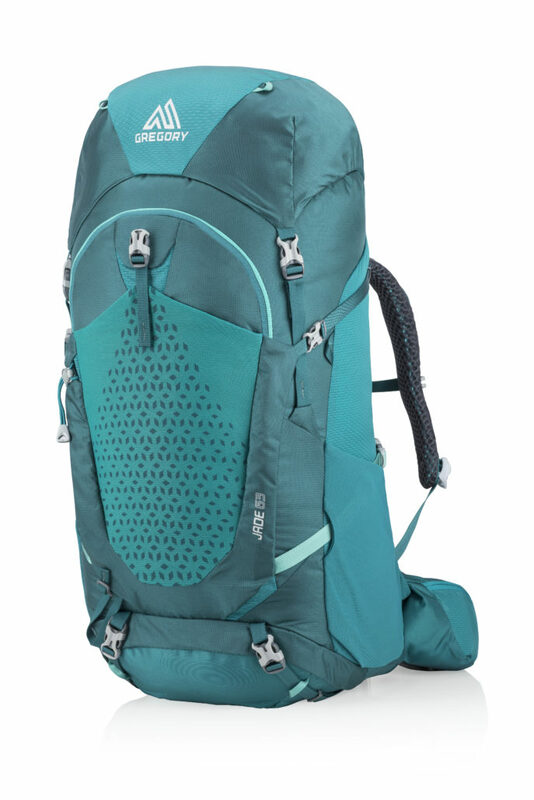 The jury of OutDoor Industry Award concluded: “This pack is outstanding in design, workmanship and added value” and gave one of their prestigious awards. 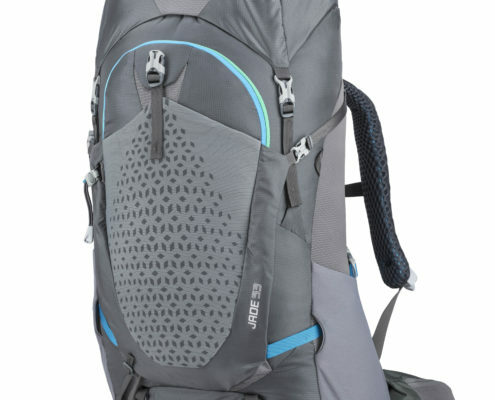 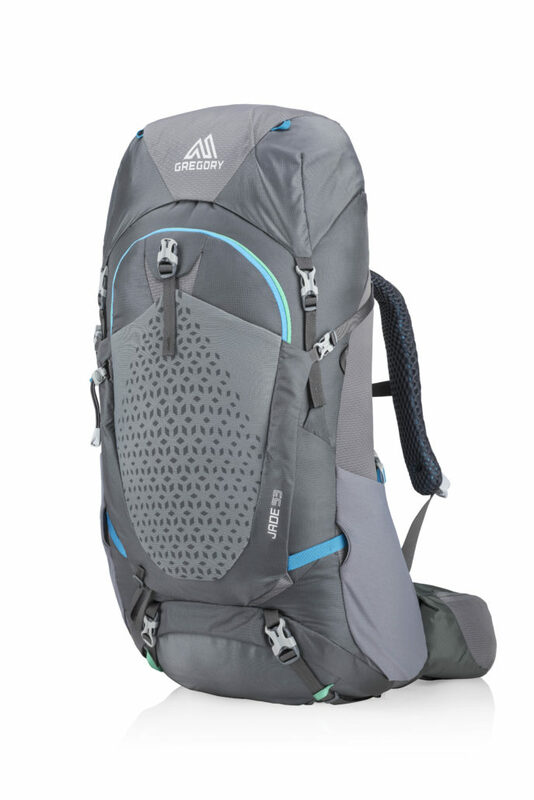 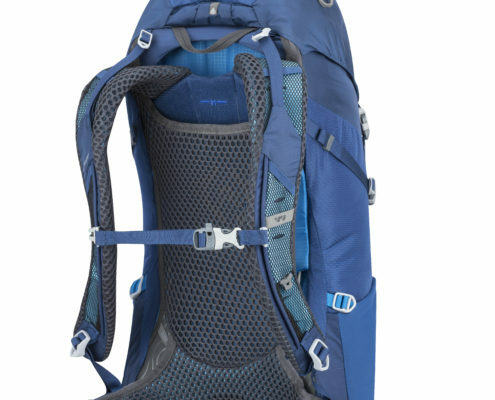 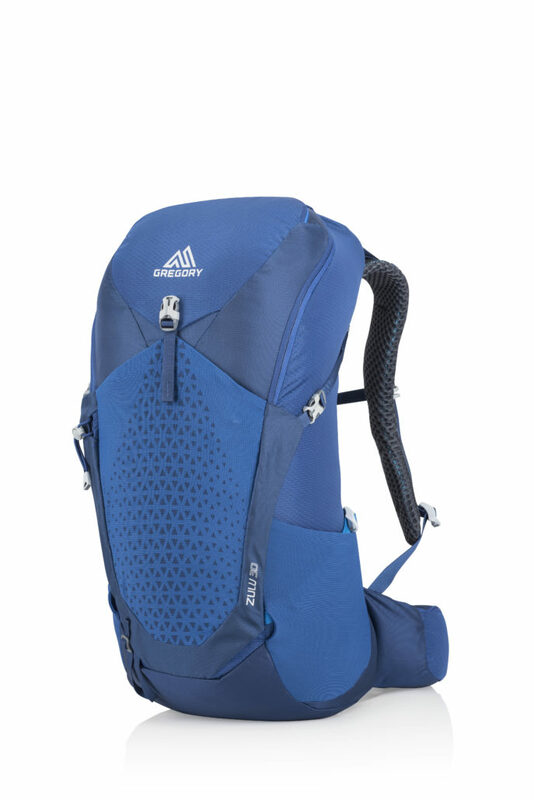 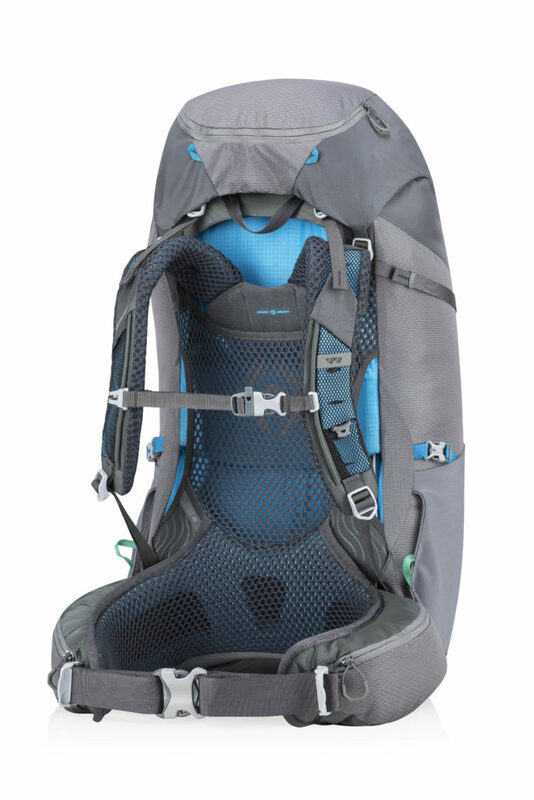 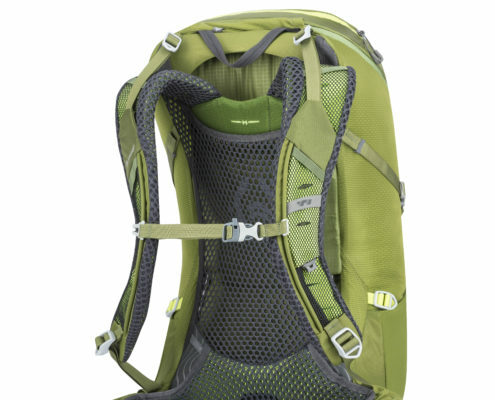 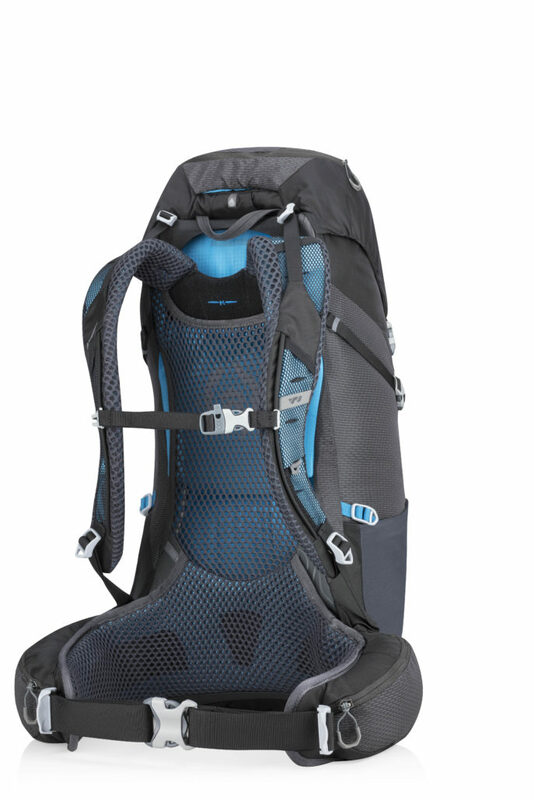 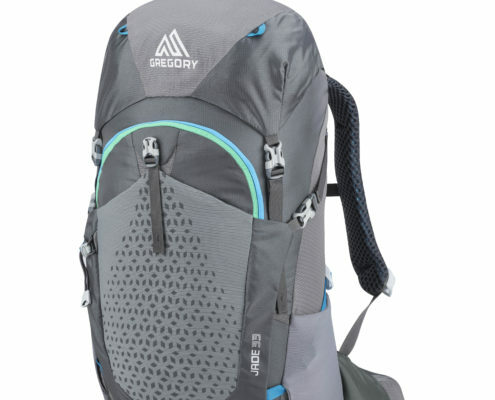 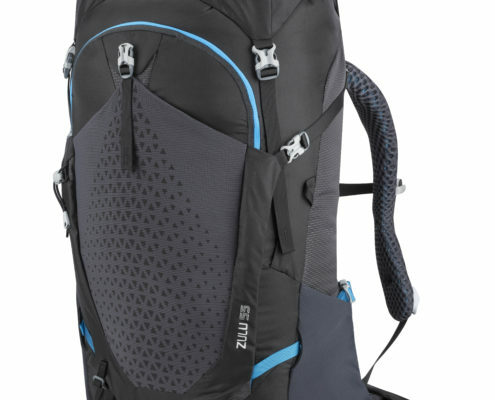 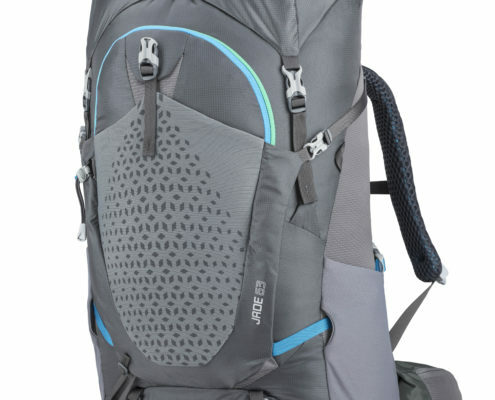 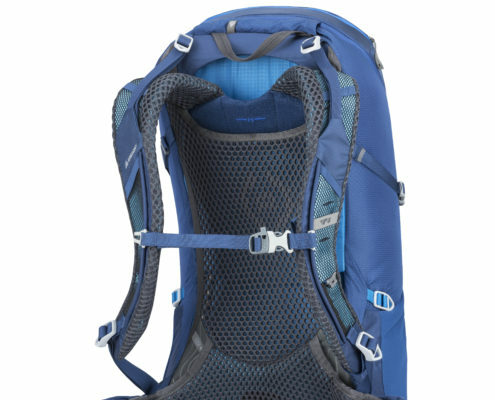 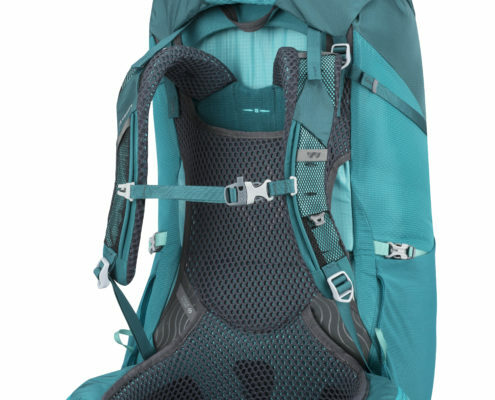 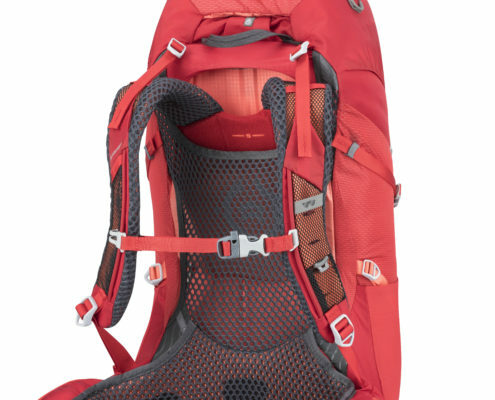 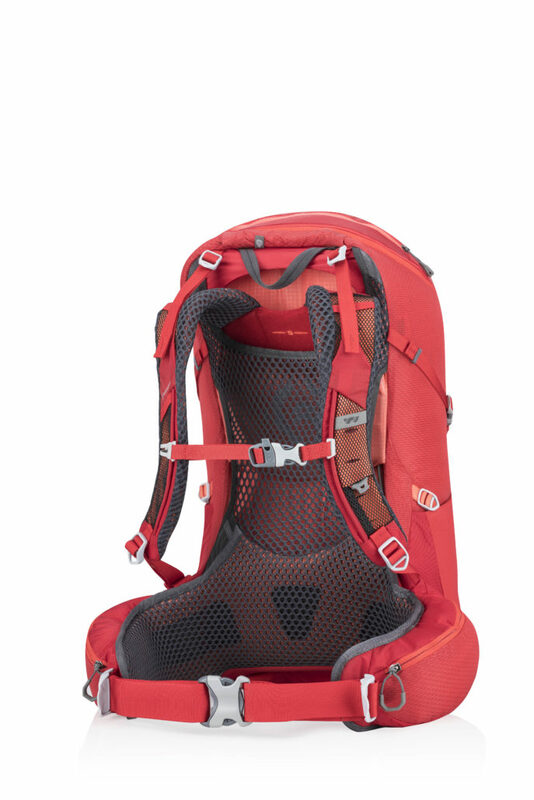 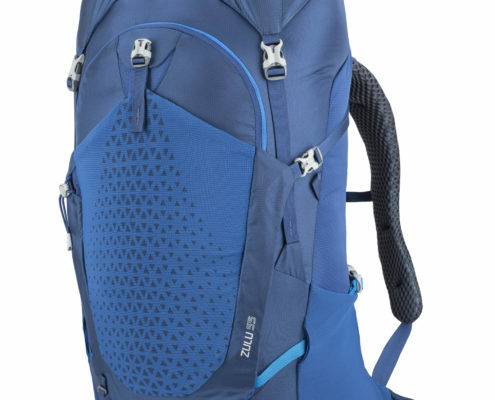 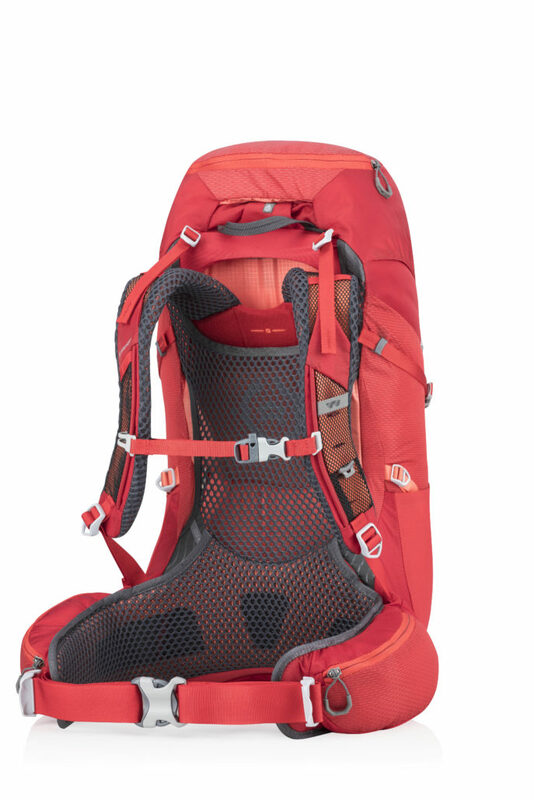 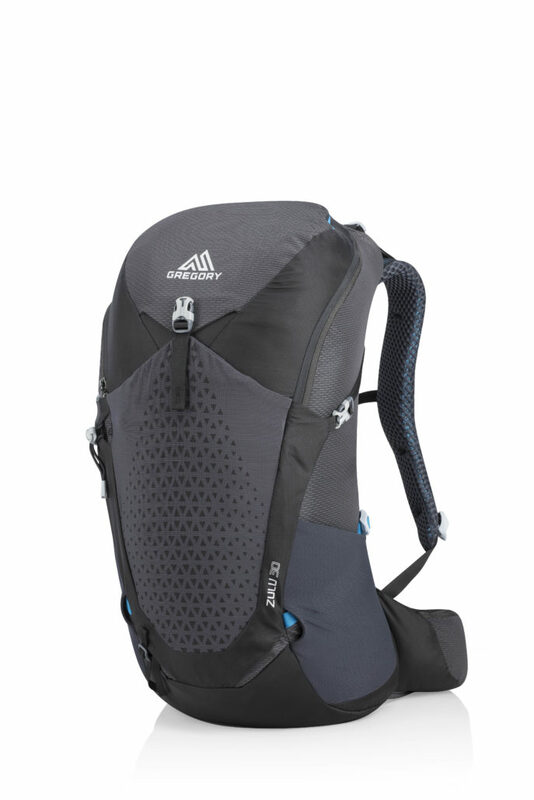 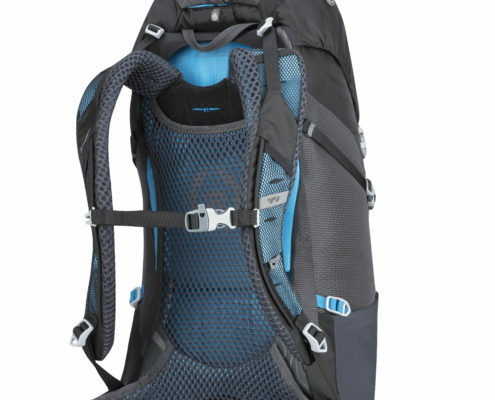 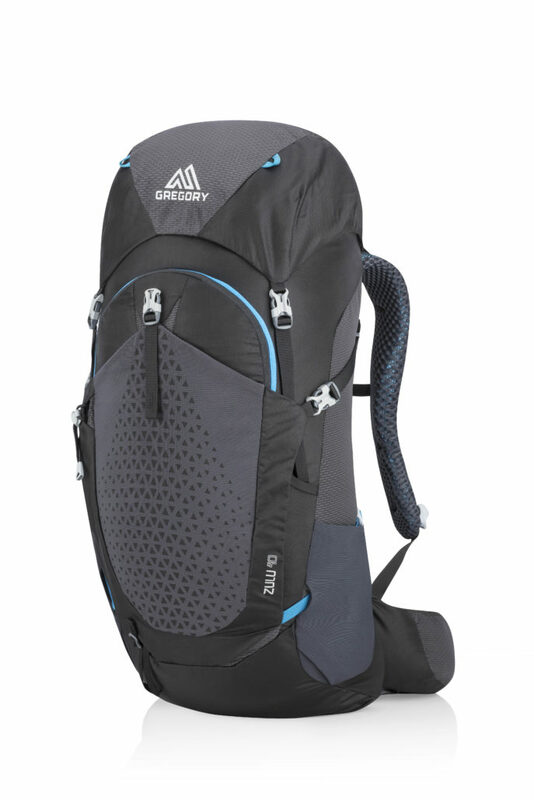 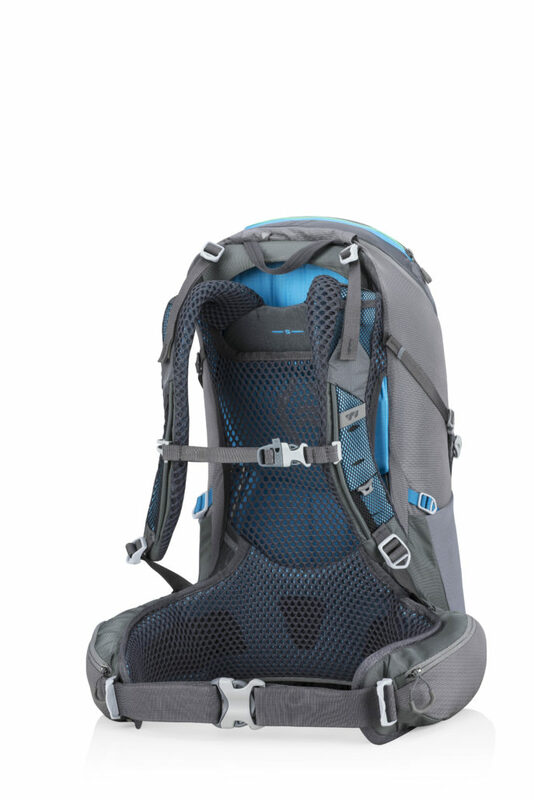 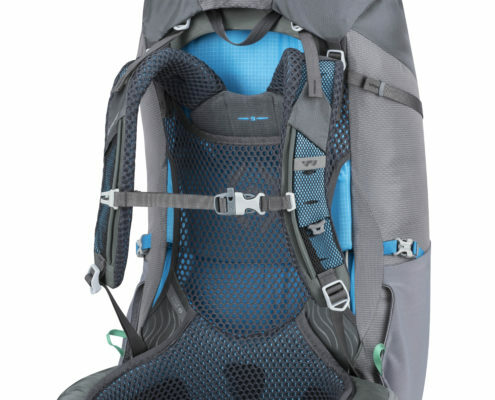 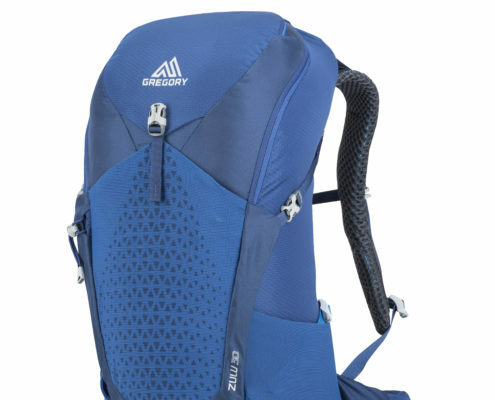 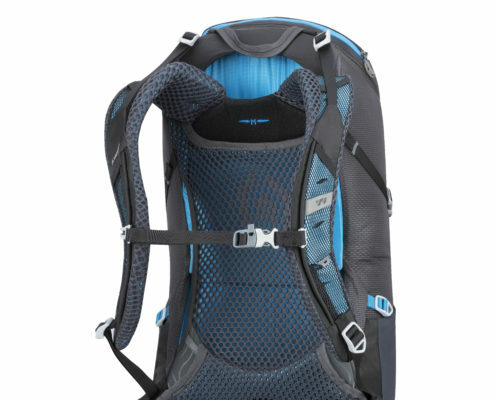 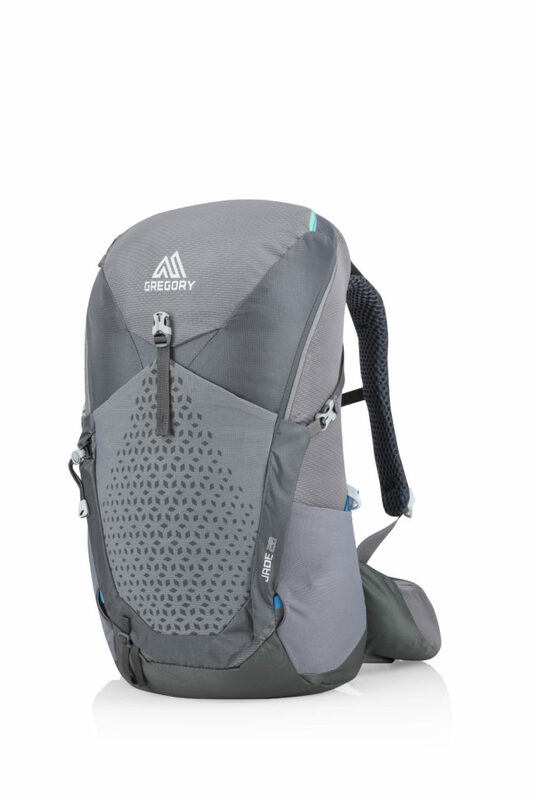 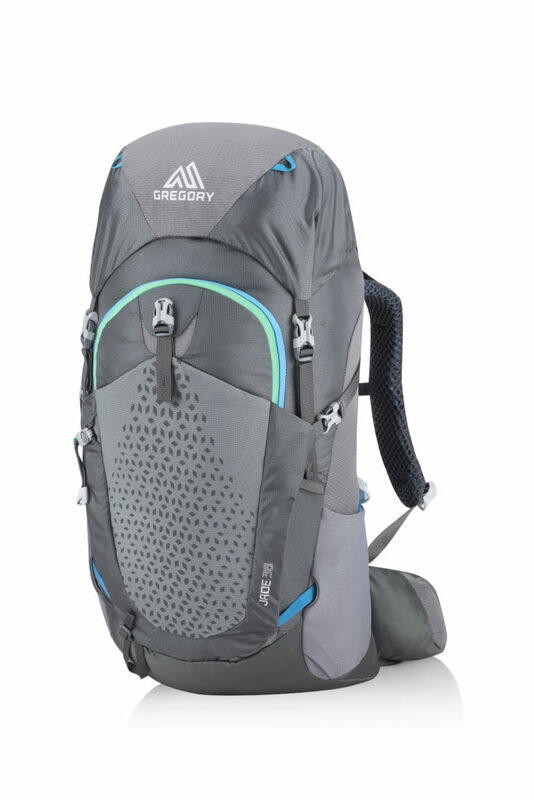 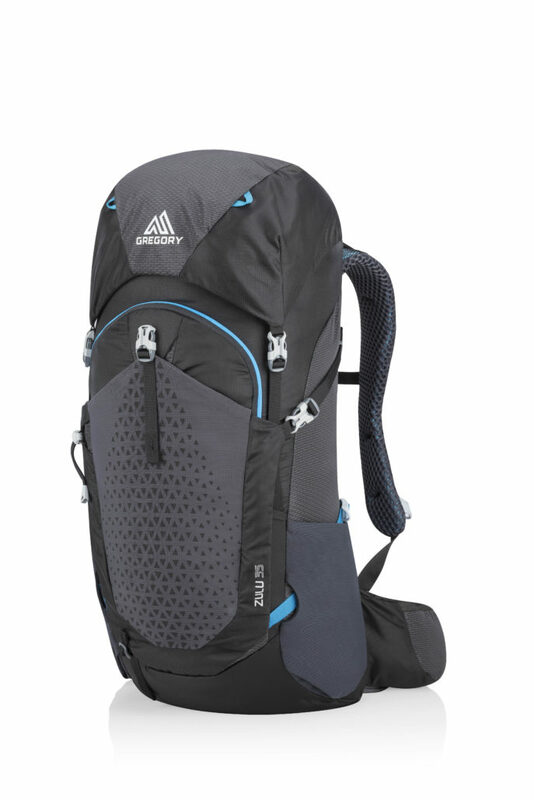 The backpack specialists have opted for a sprung frame for effective ventilation spanned with robust, moisture-wicking mesh, and combined it with free-floating,three-dimensionally formed hip fins that mould to the anatomy; they pivot and flex with the natural motion of the body and make walking noticeably easier. 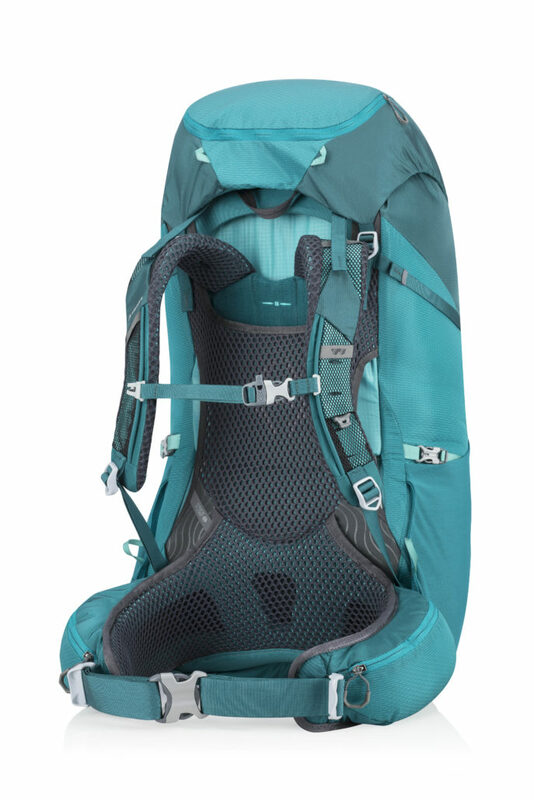 Yet the suspension system itself is so stable that the load is efficiently transferred to the hipbelt. 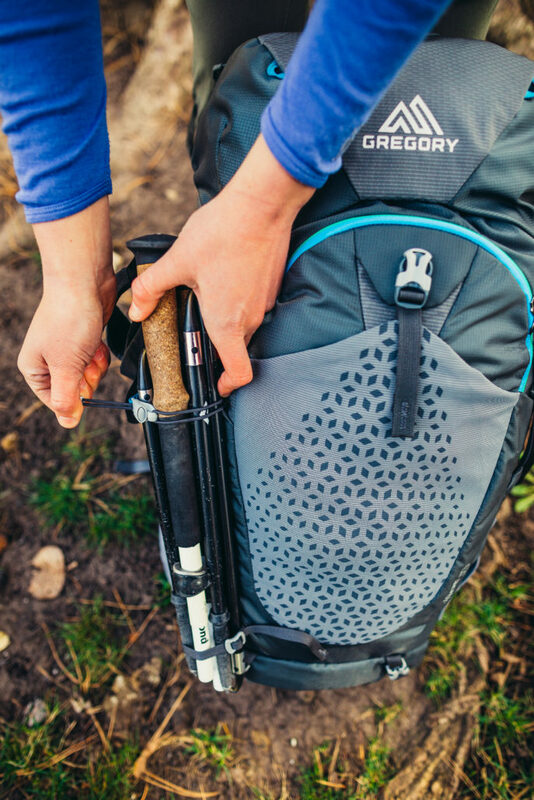 With the FreeFloat suspension you get a snug, solid fit that’s also fully ventilated. 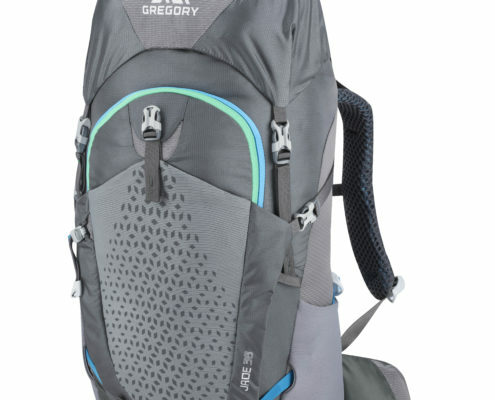 As usual, Gregory has made a women’s and men’s version. 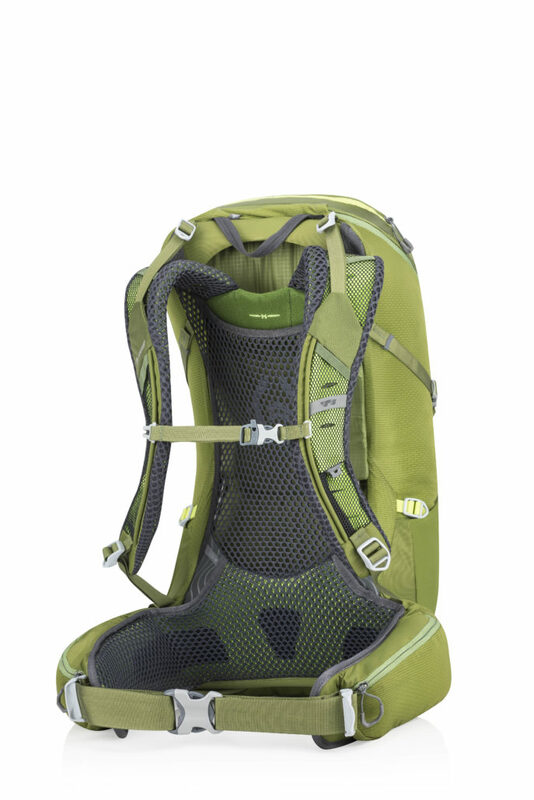 The shoulder straps of the Jade (women) are narrower and the hipbelt is shaped to suit the female anatomy. 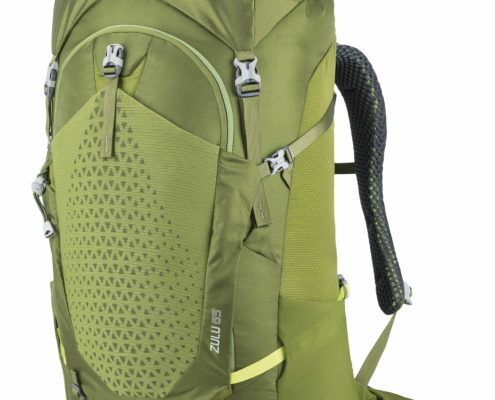 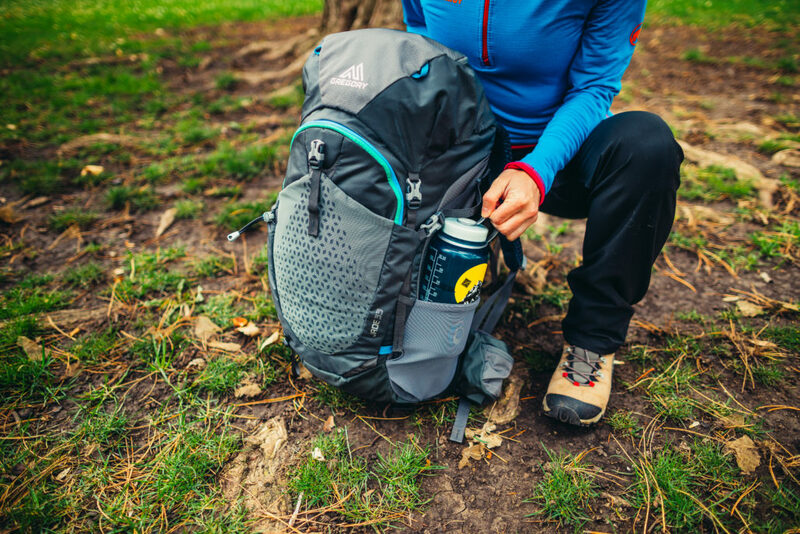 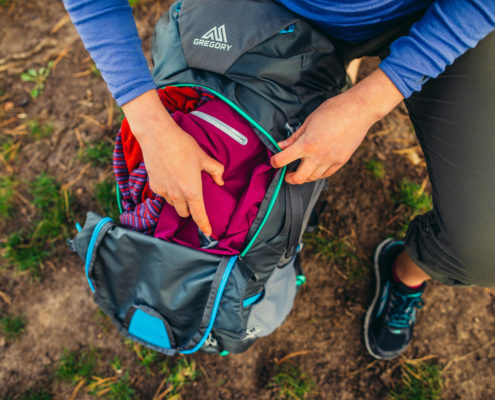 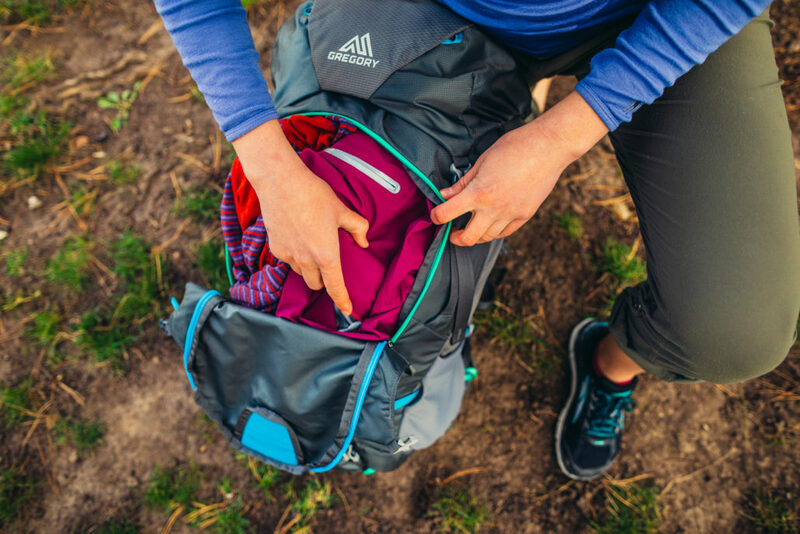 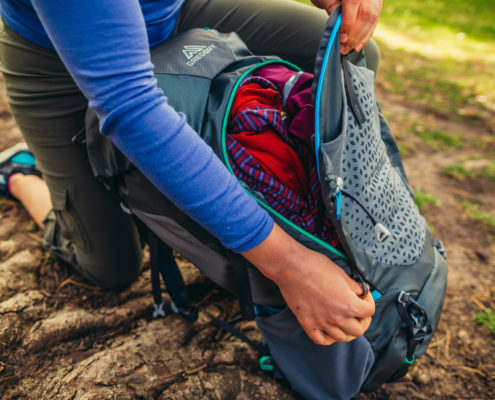 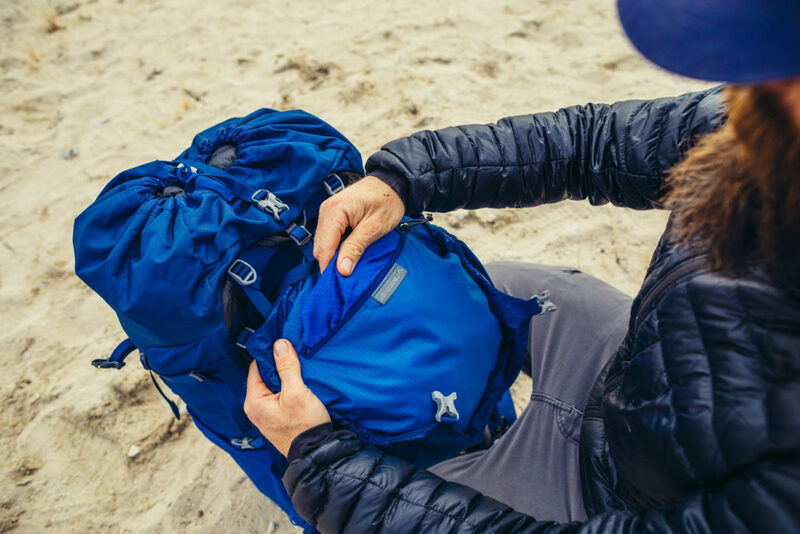 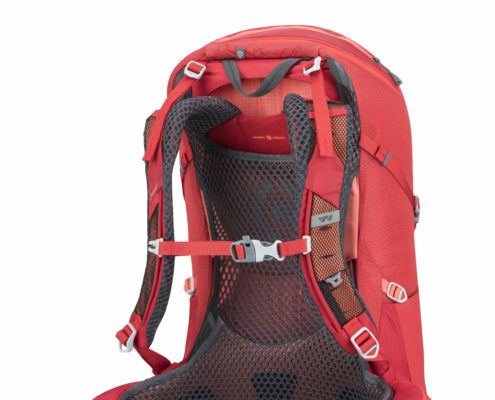 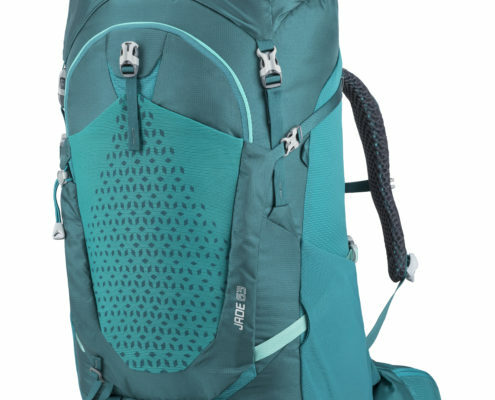 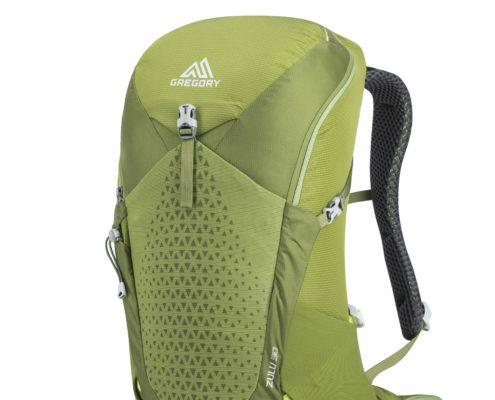 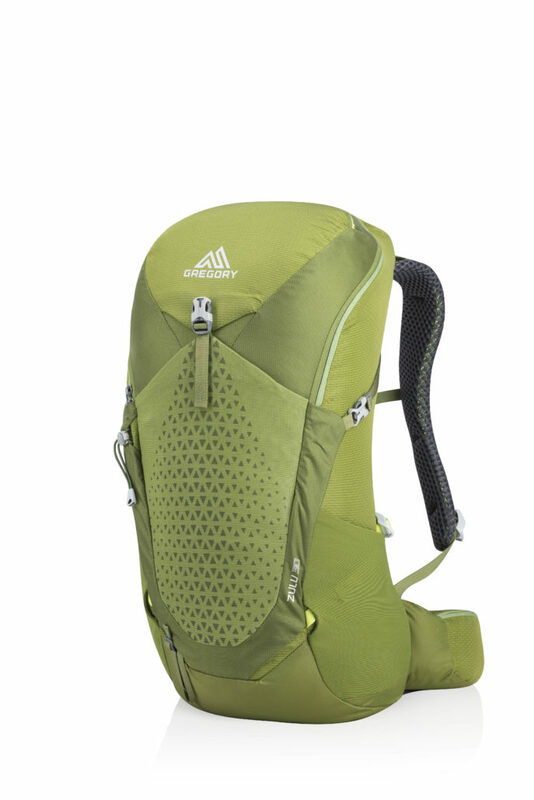 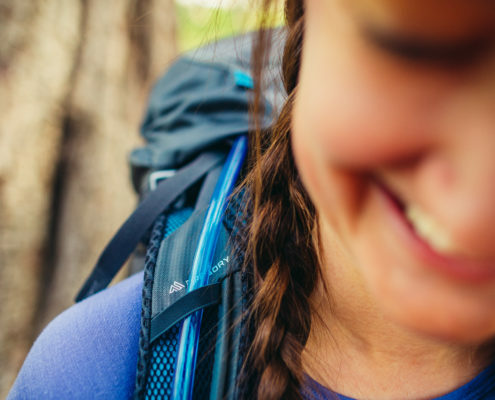 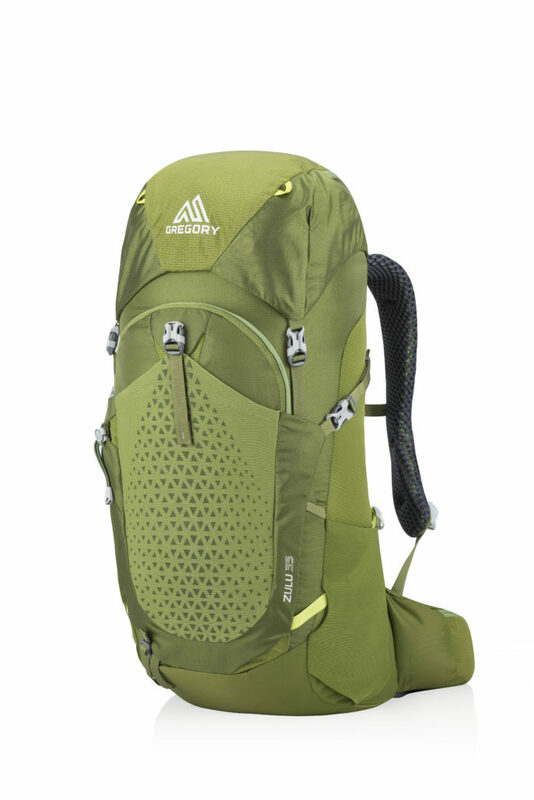 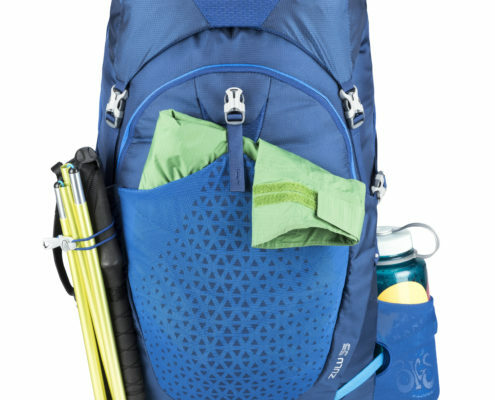 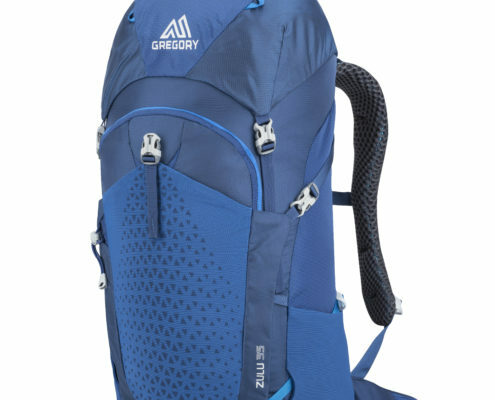 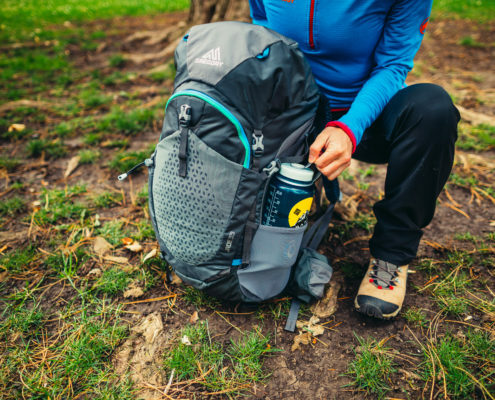 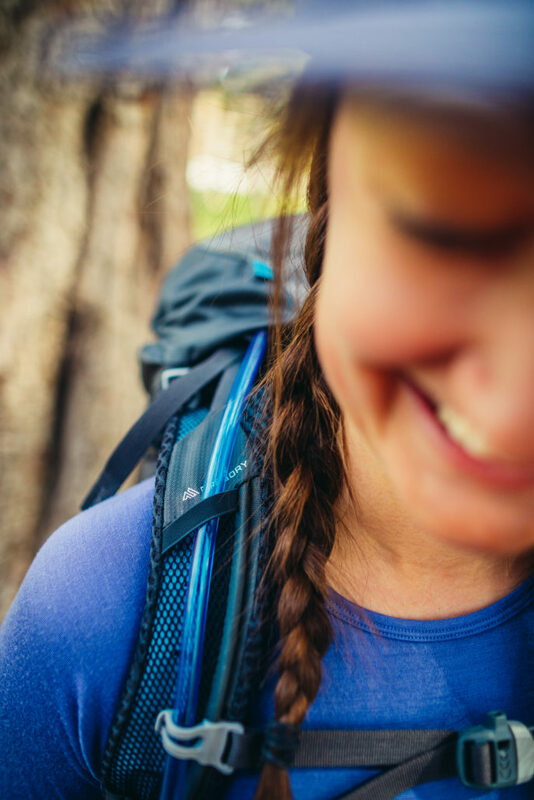 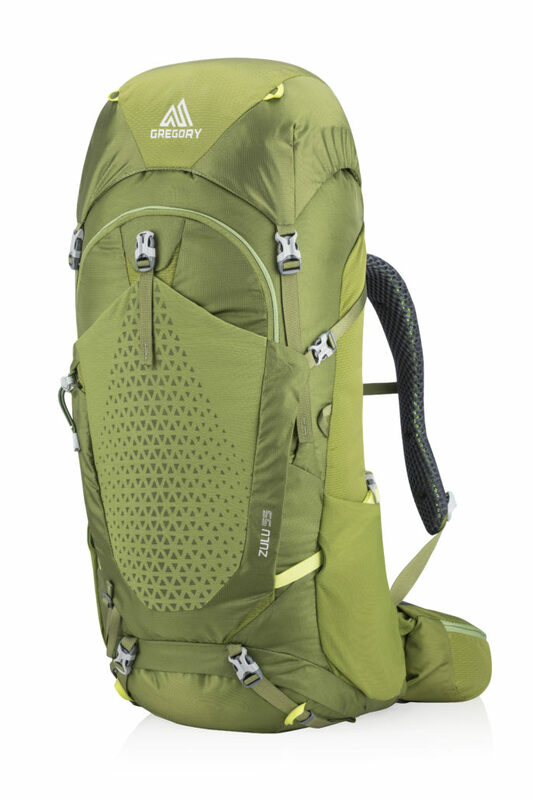 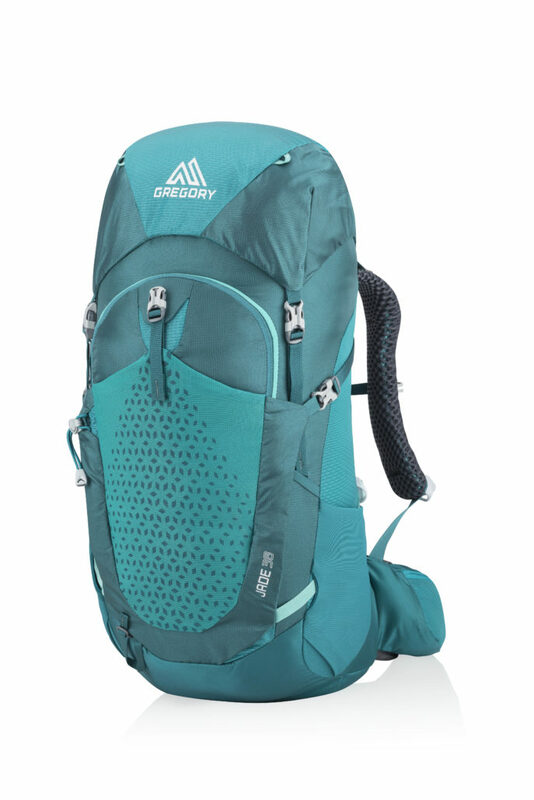 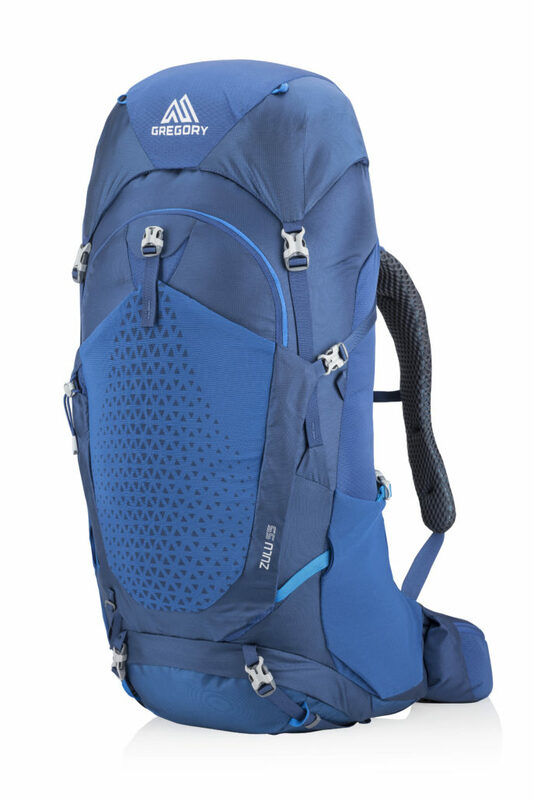 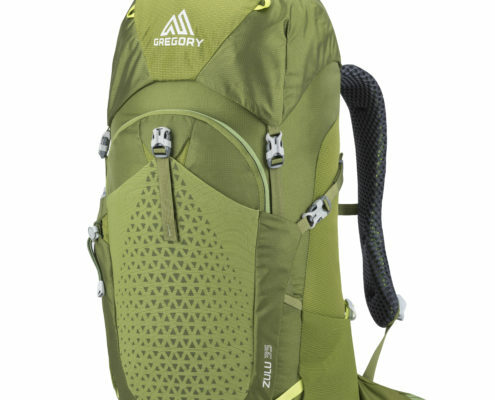 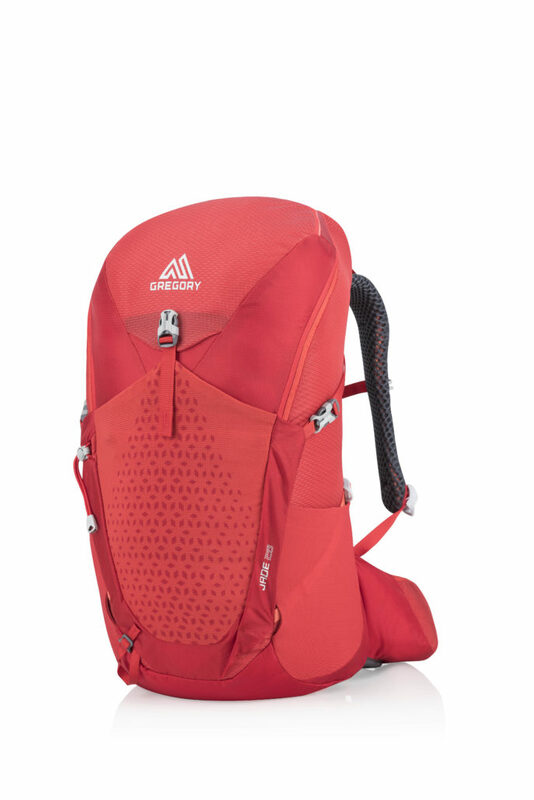 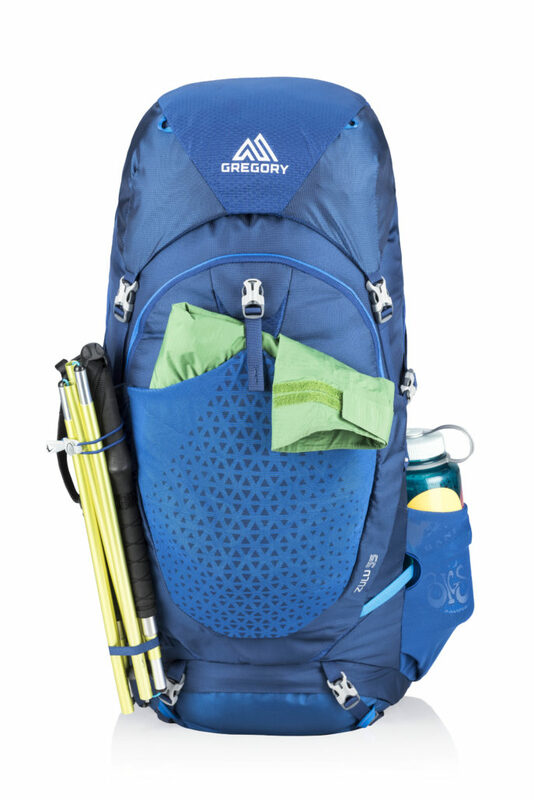 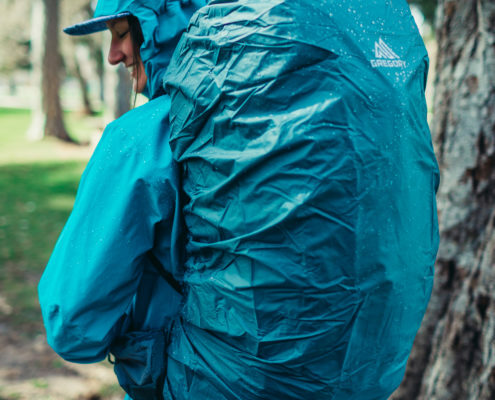 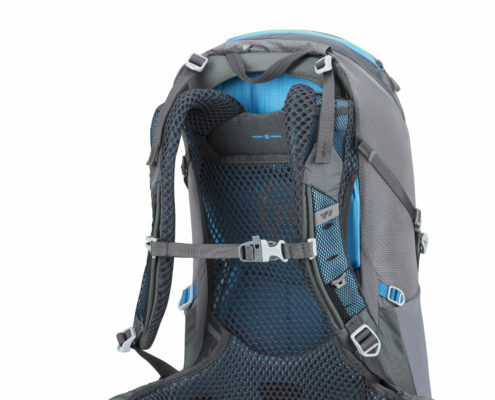 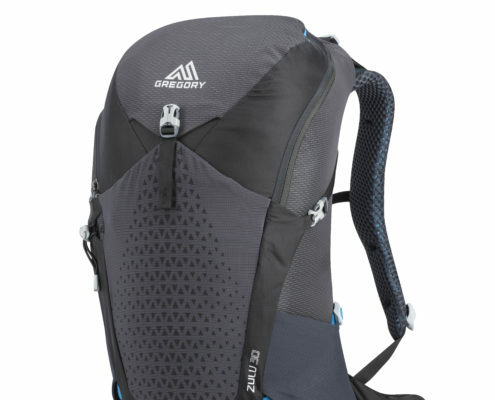 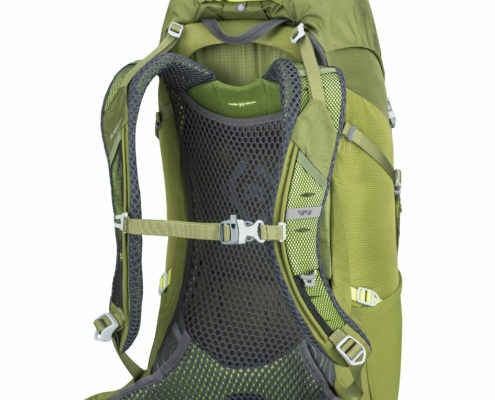 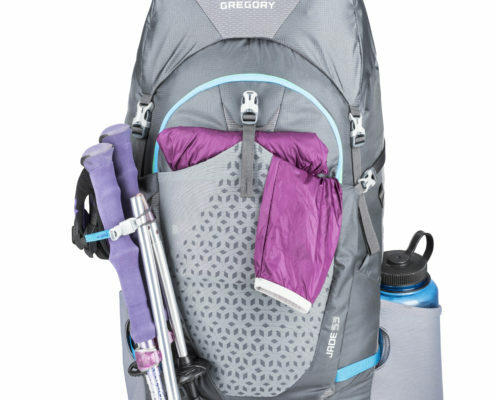 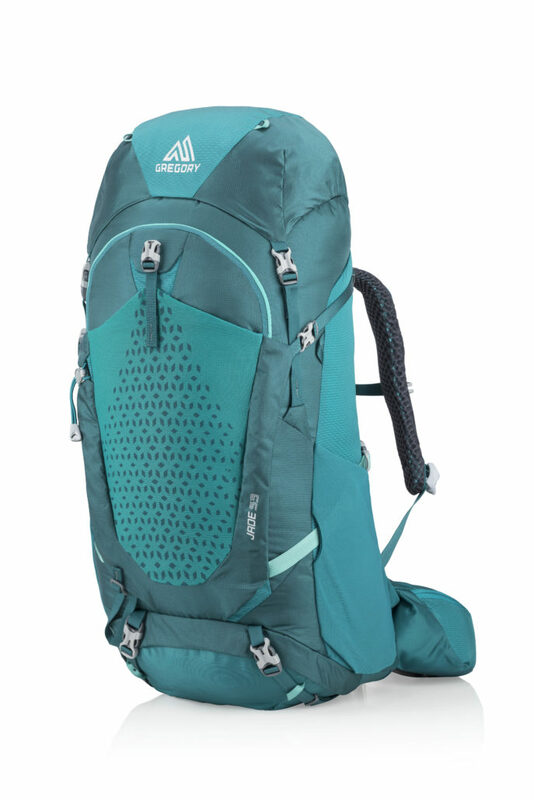 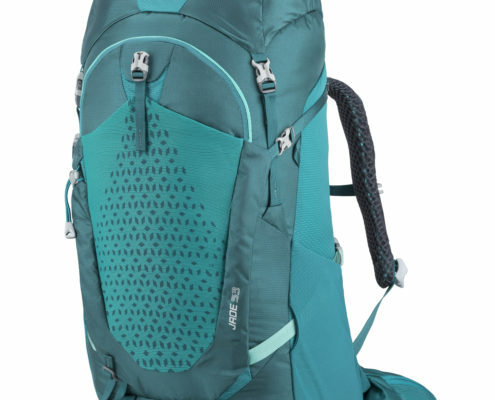 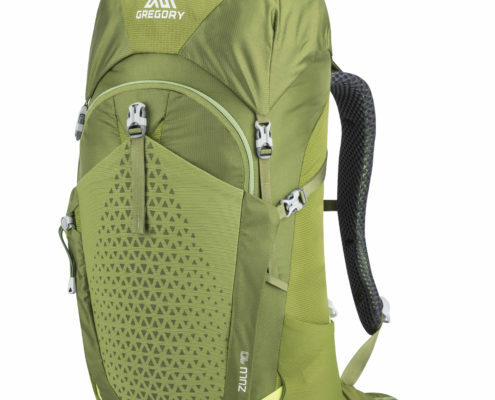 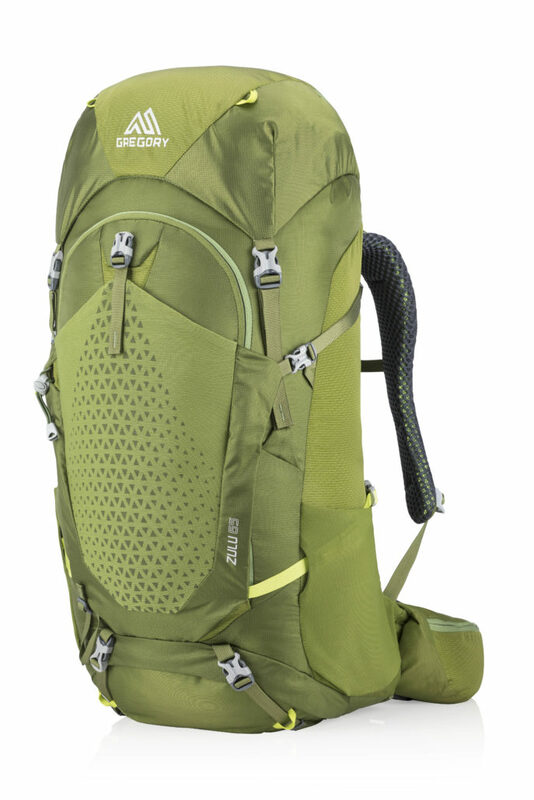 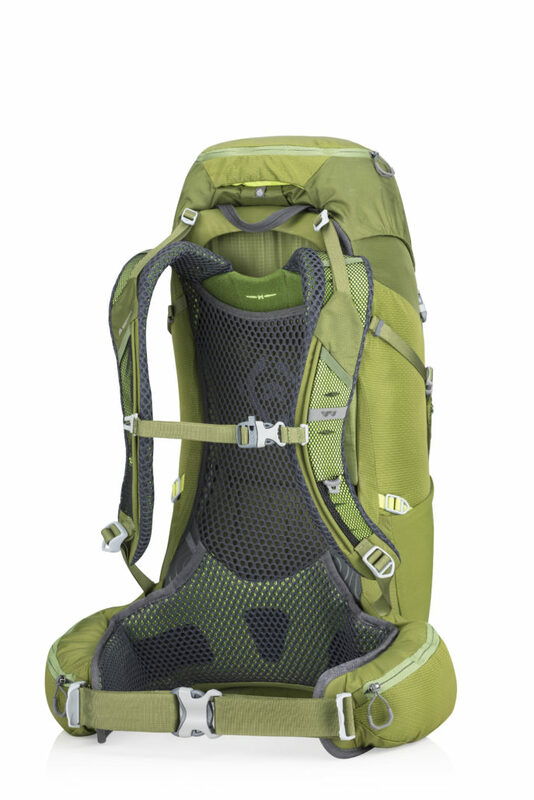 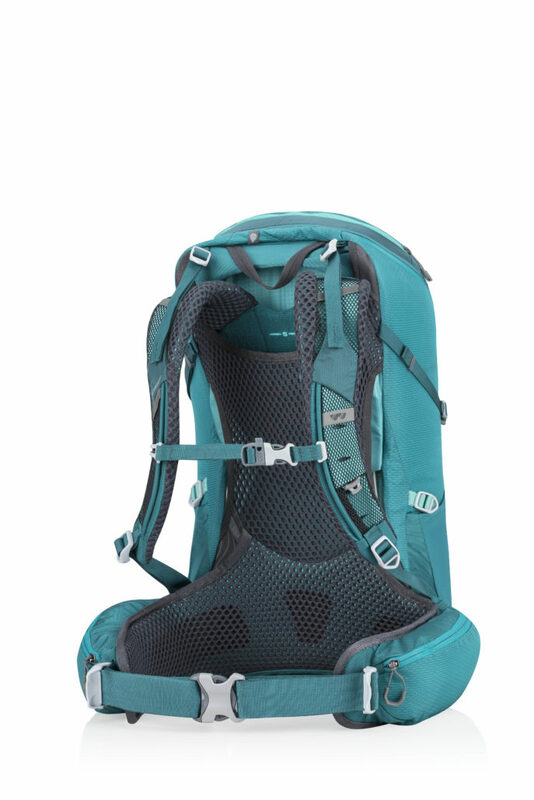 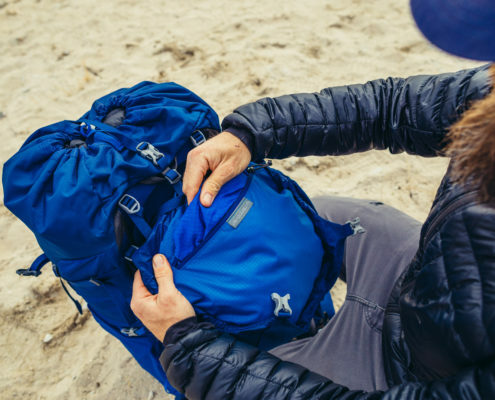 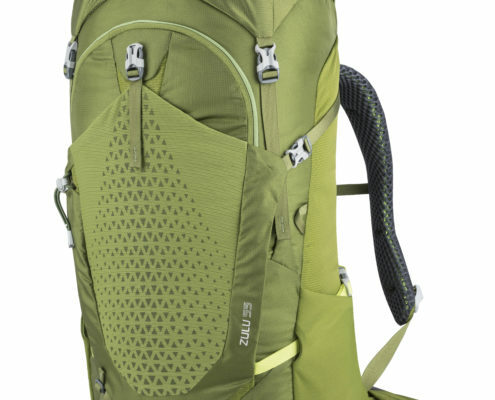 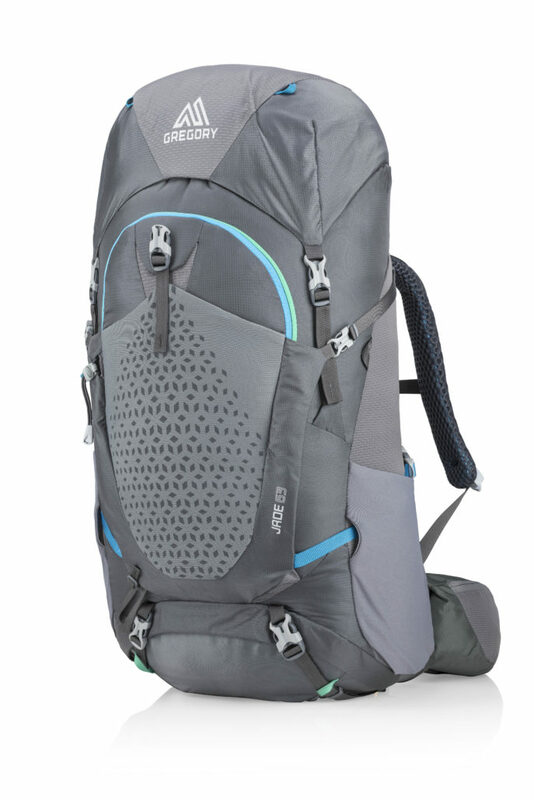 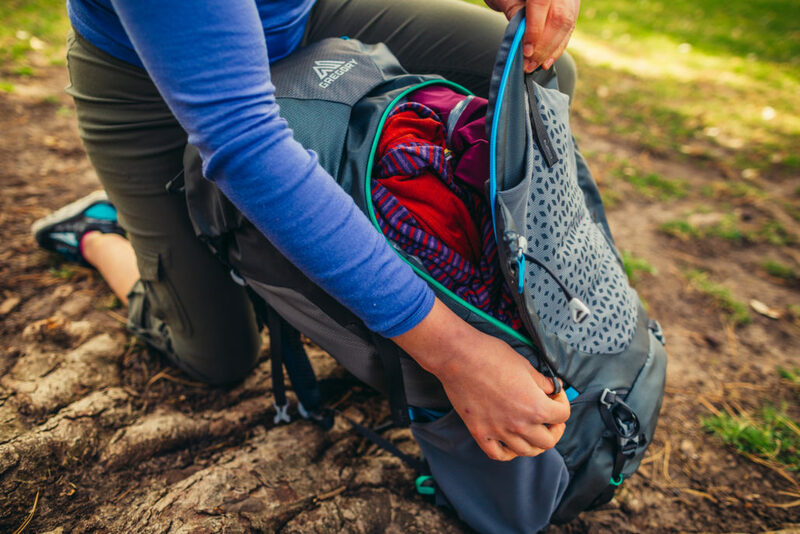 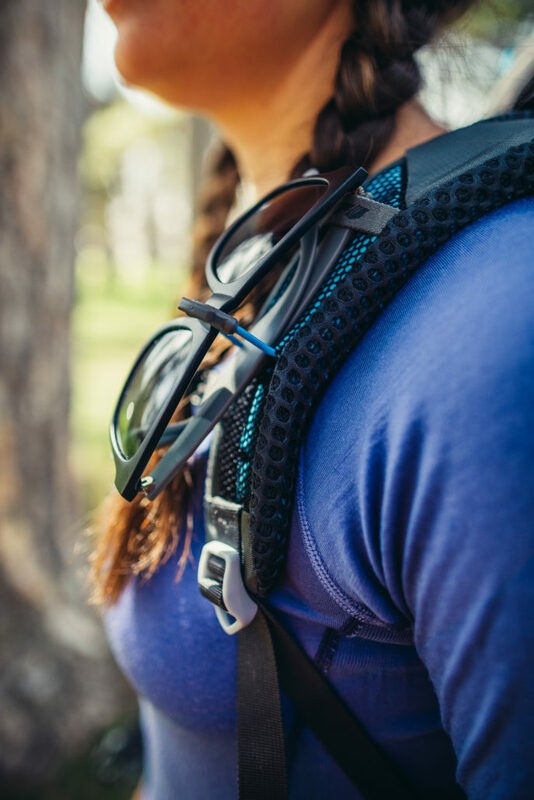 “We decided to give this women’s pack an award for its intelligent free-floating carrying system. 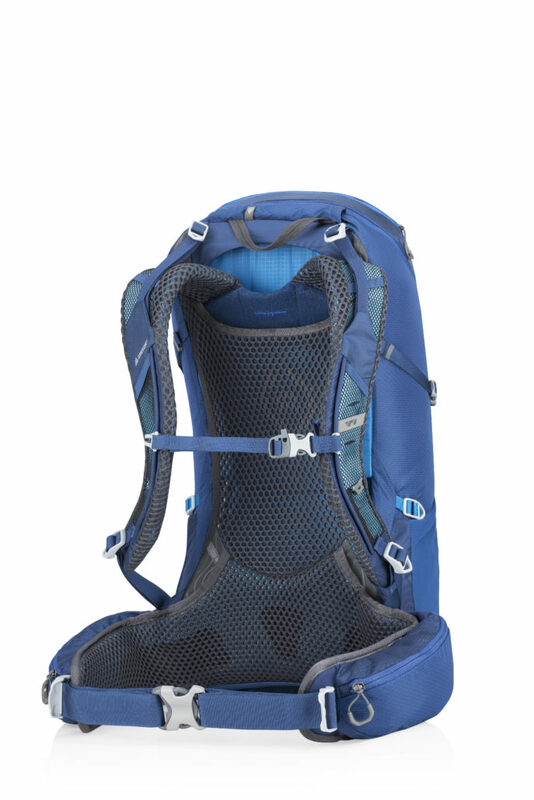 In particular, the flexible construction at the hips makes it very comfortable to carry. 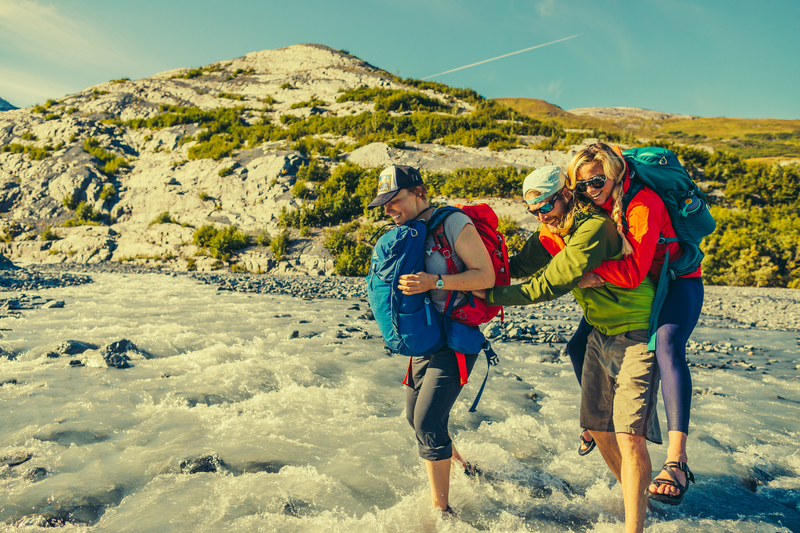 All the female members of the panel were instantly impressed”, is the statement of the jury of OutDoor Industry Award 2018. 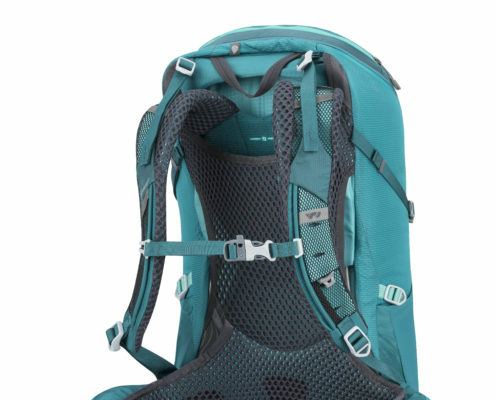 The main opening with full body U-Zip in the Jade and Zulu provides easy access to the contents. 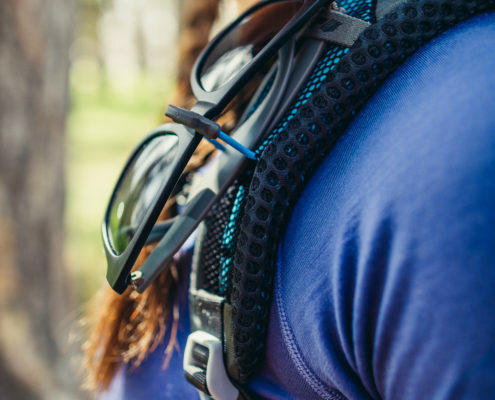 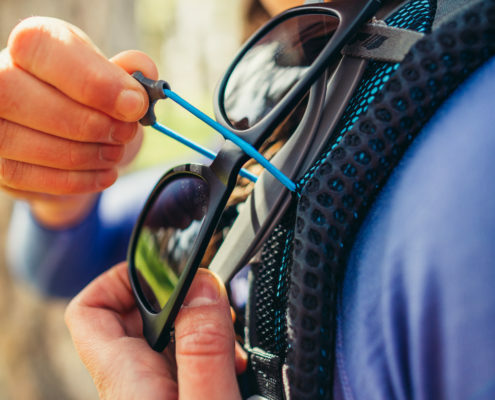 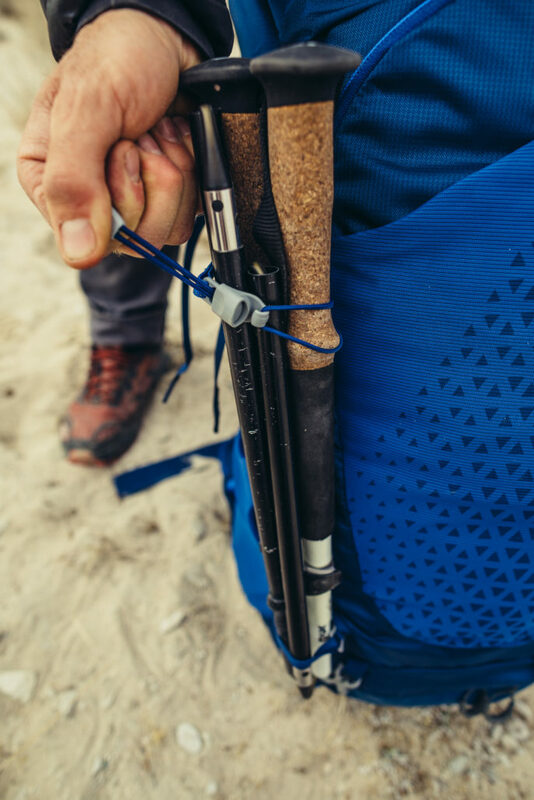 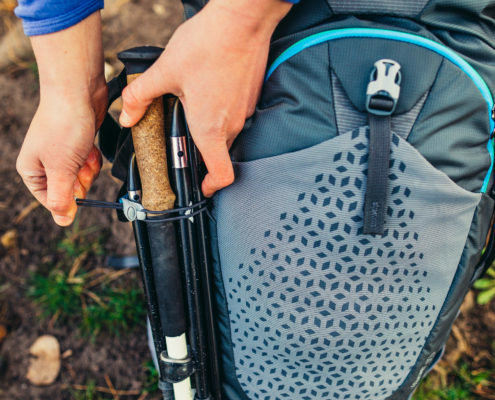 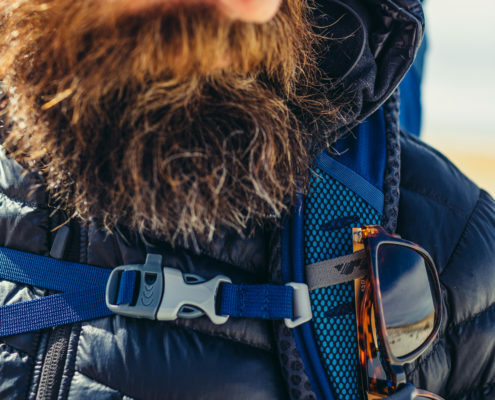 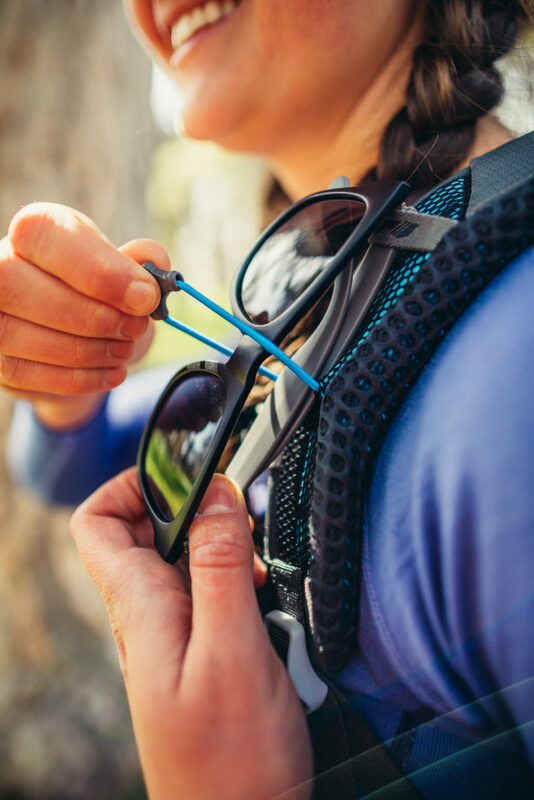 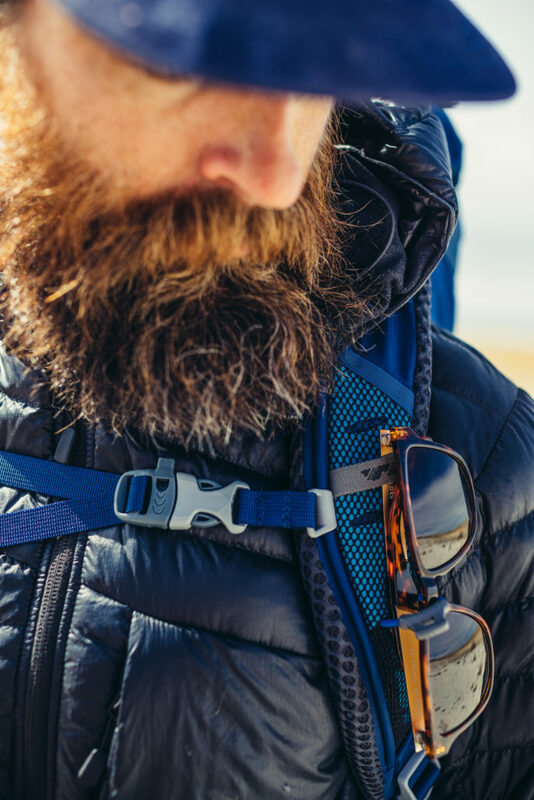 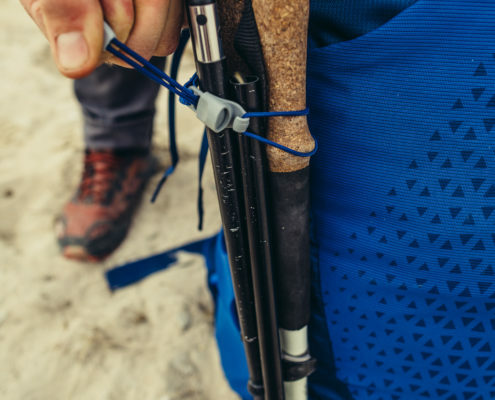 Practical extras like a sunglasses QuickStow system on the shoulder harness, stretch mesh side pockets or trekking pole attachments round off the features of the Zulu and Jade. 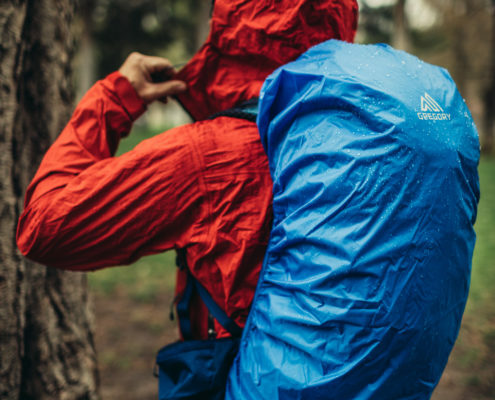 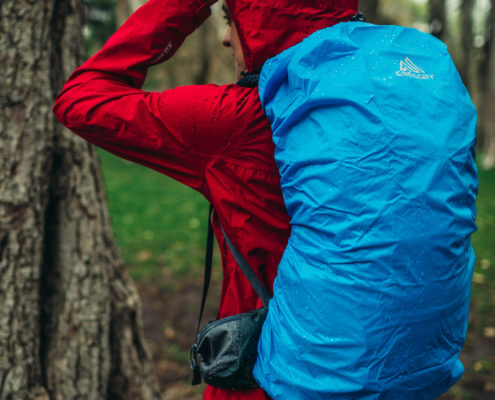 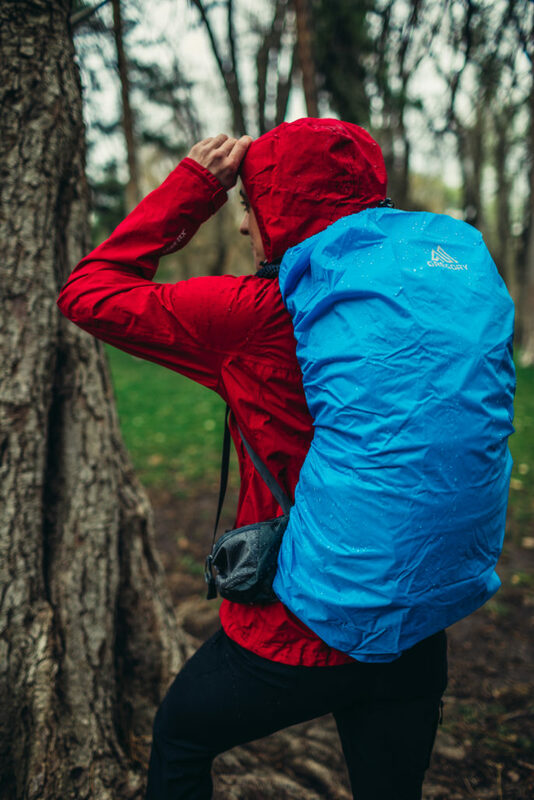 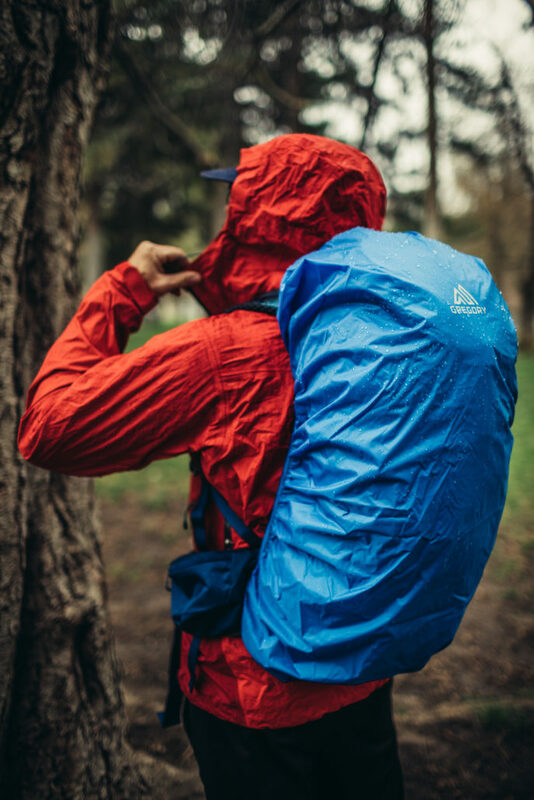 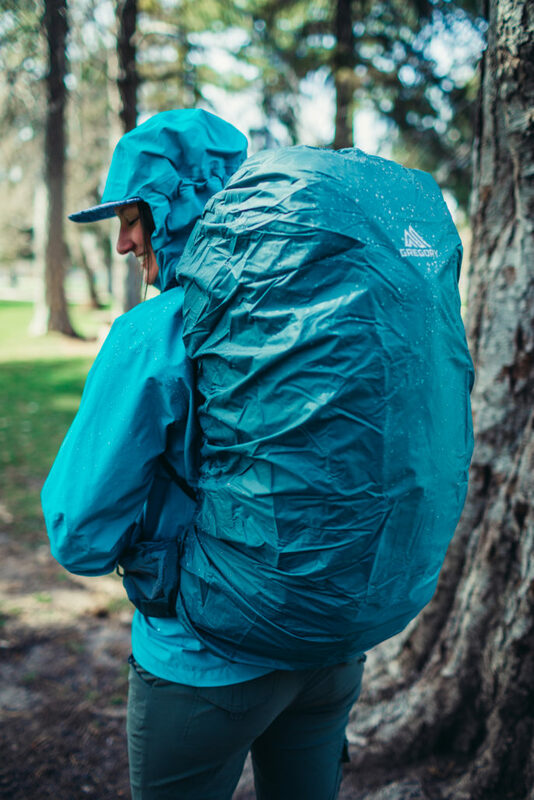 Both packs come with an integrated rain cover. 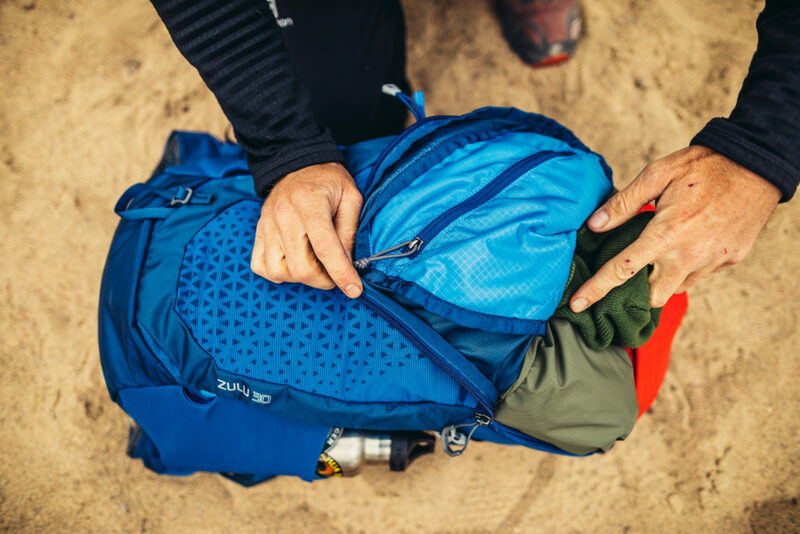 Available in five different sizes, the Zulu and Jade packs are ideal for day hikes, hut-to-hut tours or long-distance trekking.